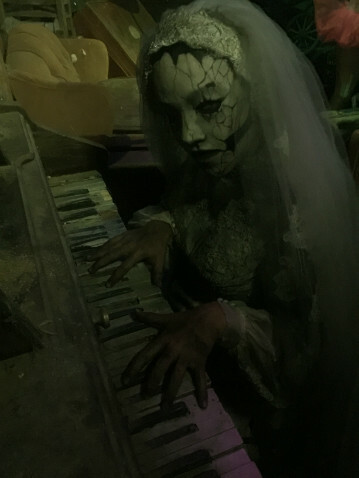 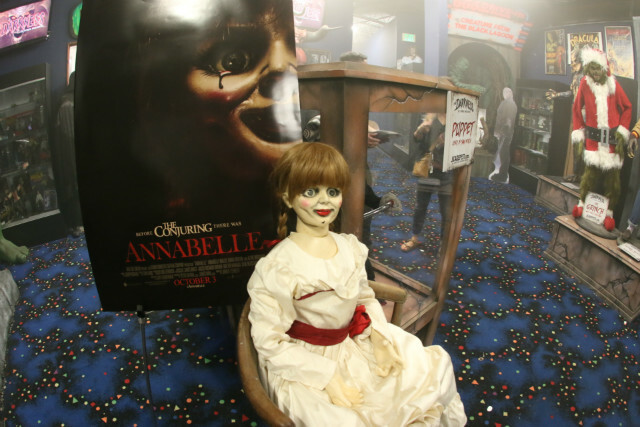 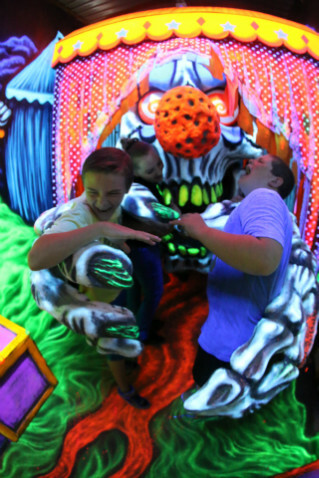 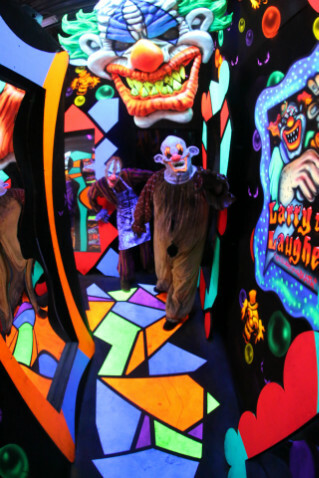 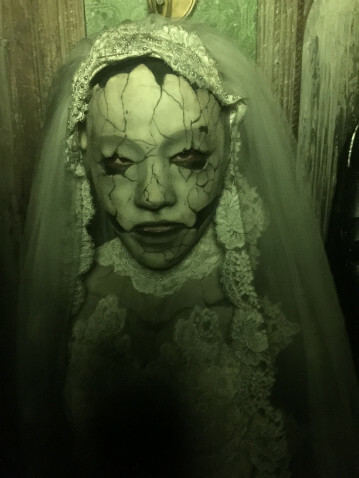 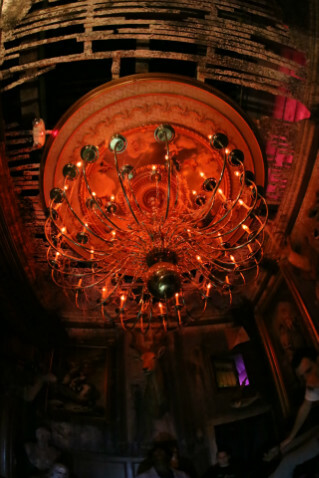 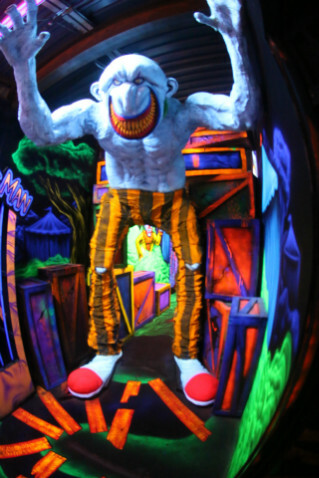 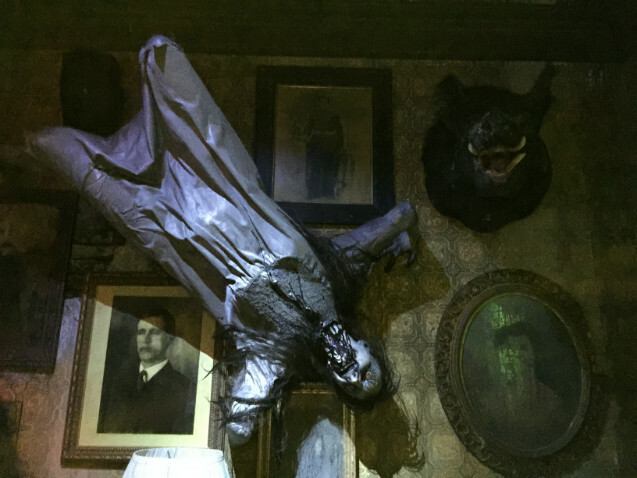 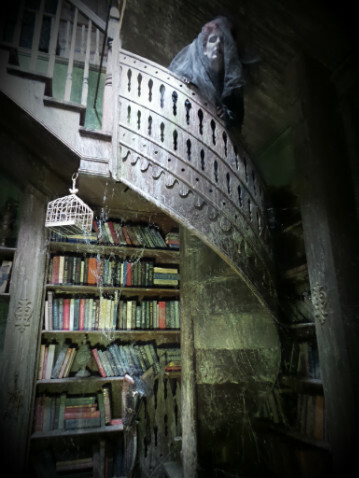 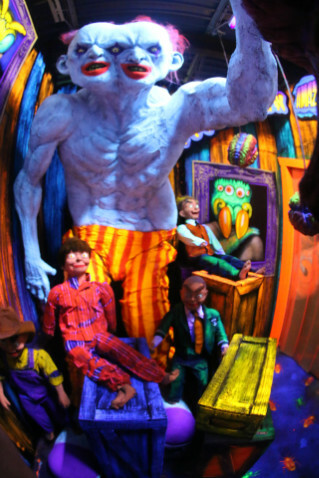 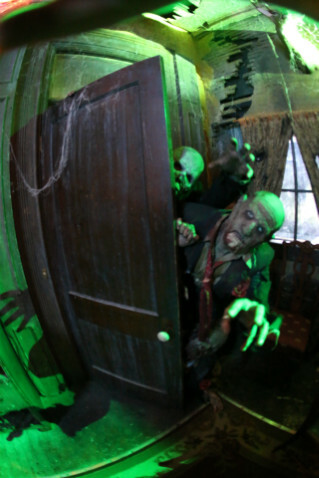 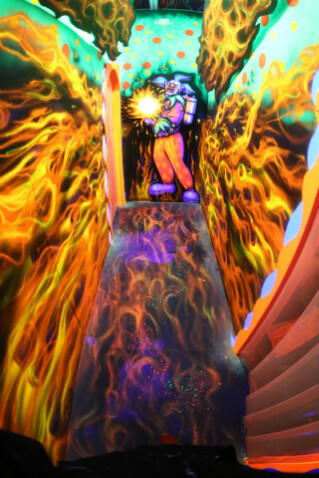 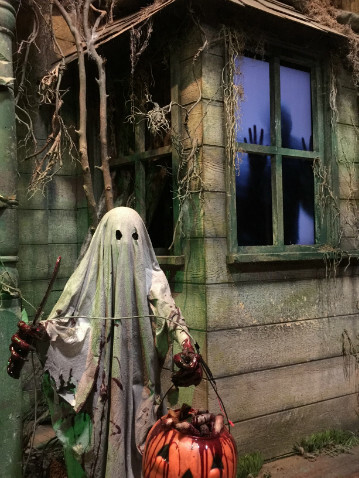 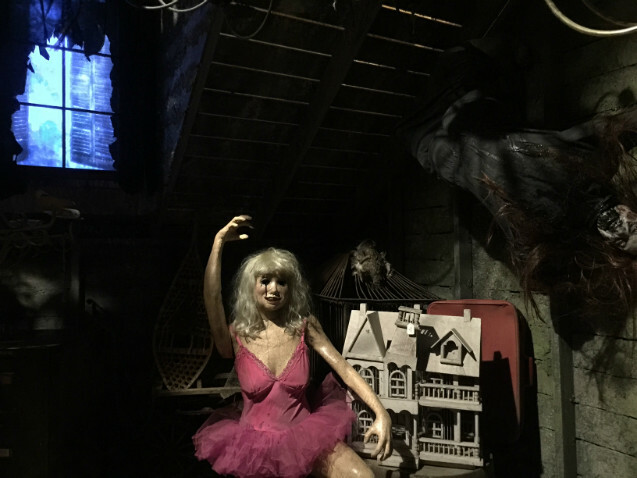 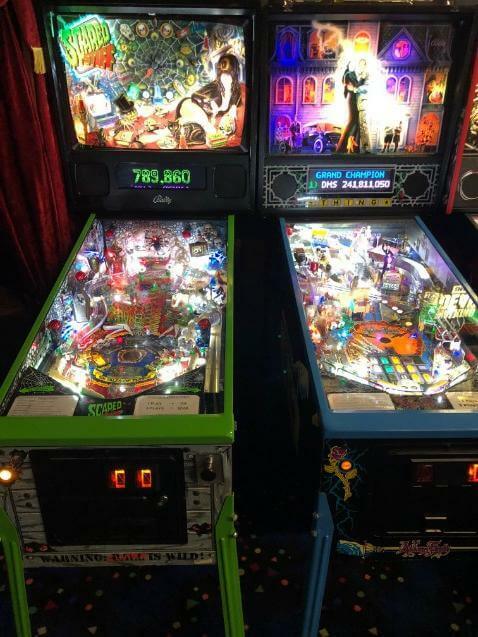 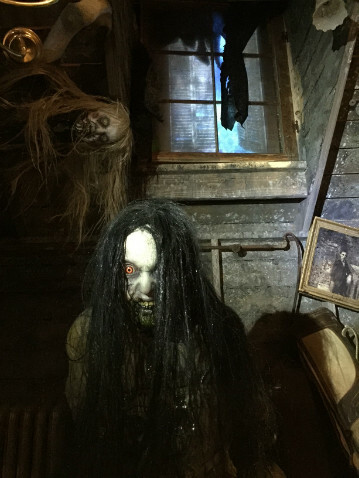 Haunted House Photos and Videos of America's Scariest Haunted Houses and Escape Rooms. 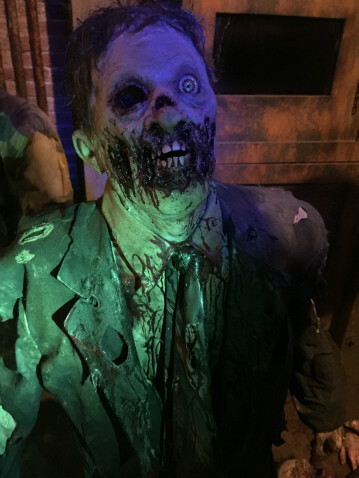 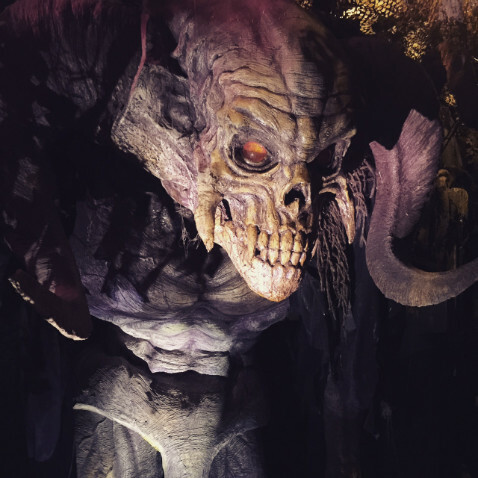 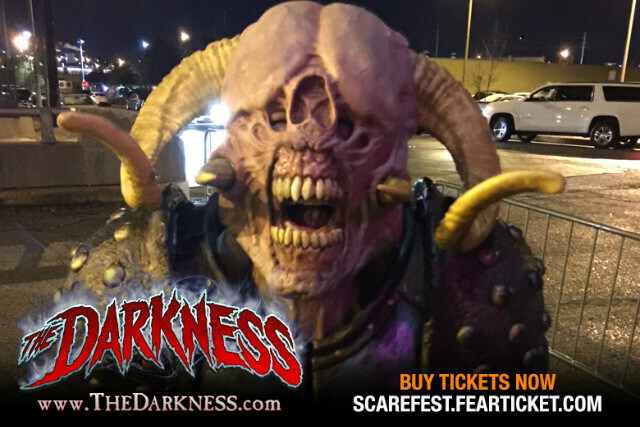 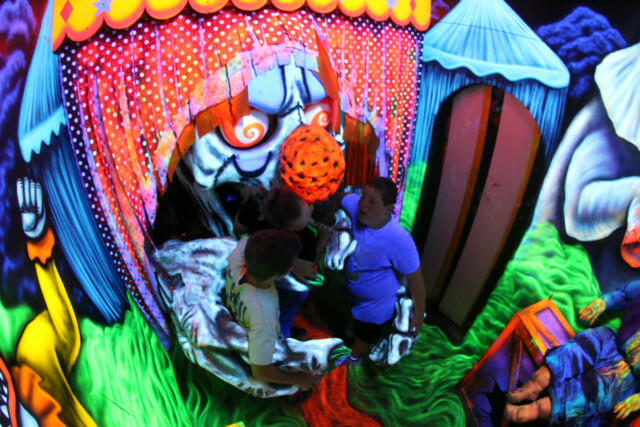 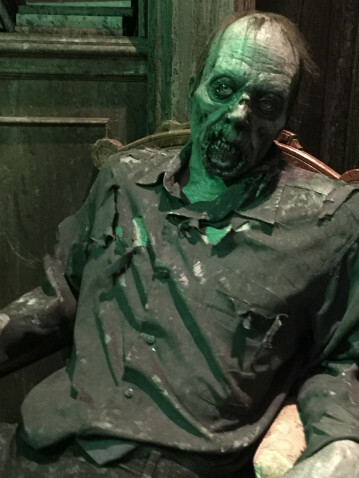 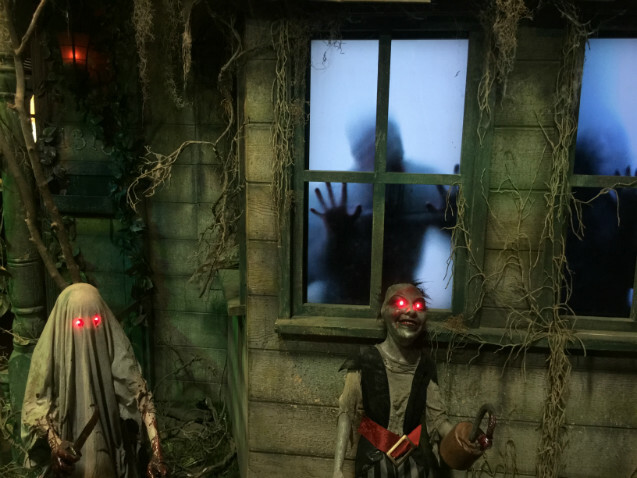 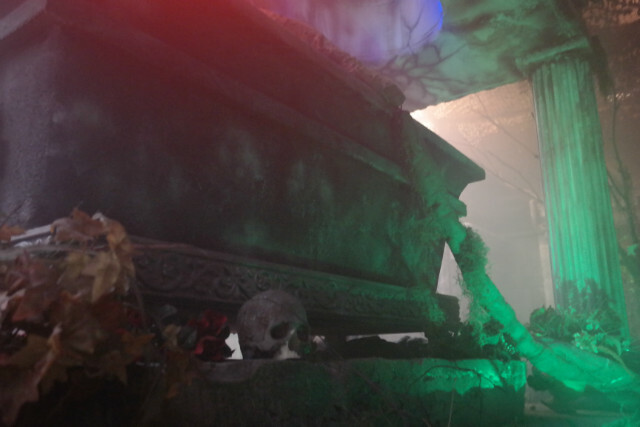 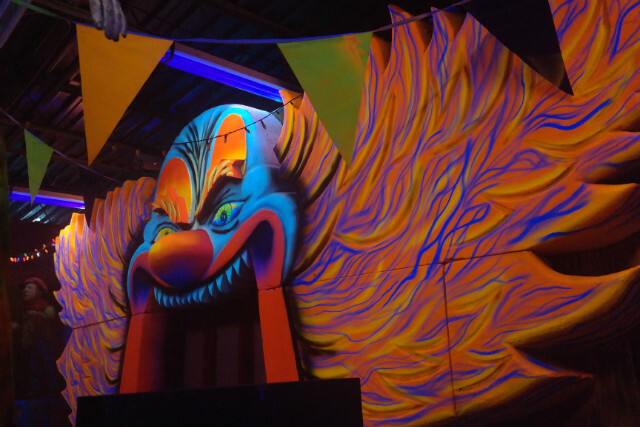 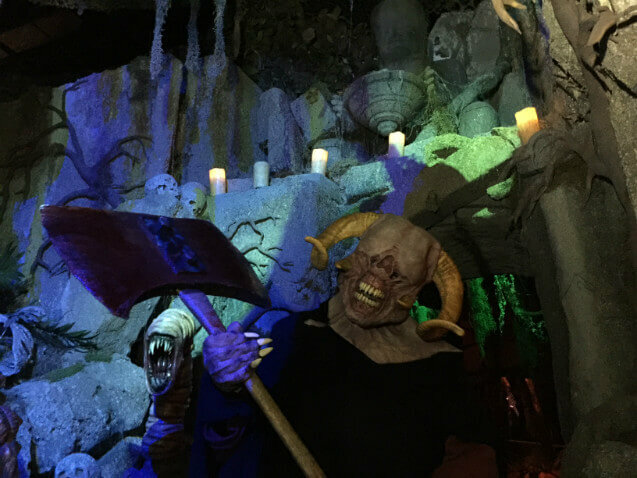 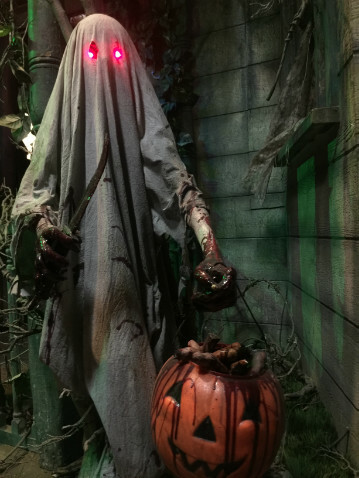 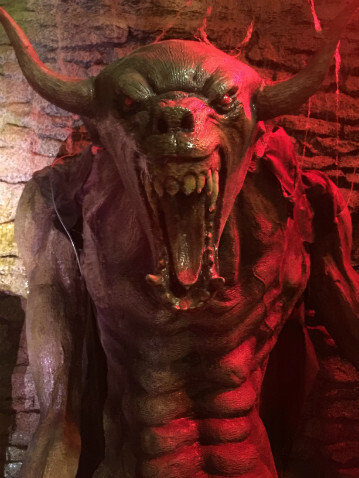 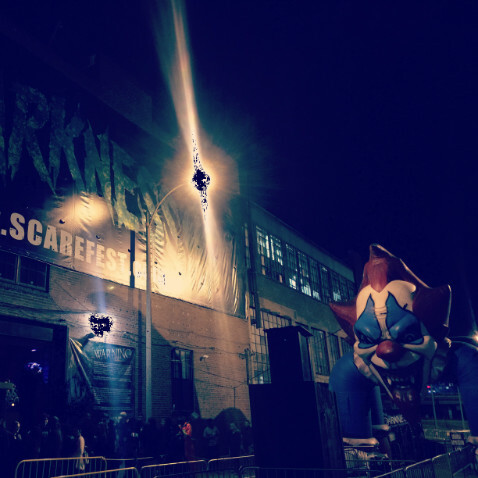 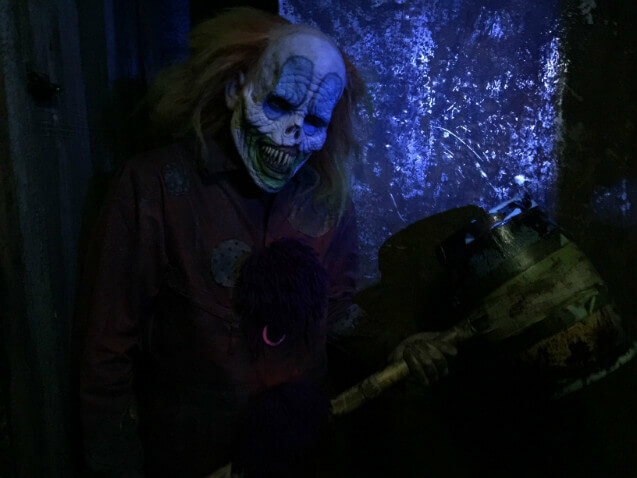 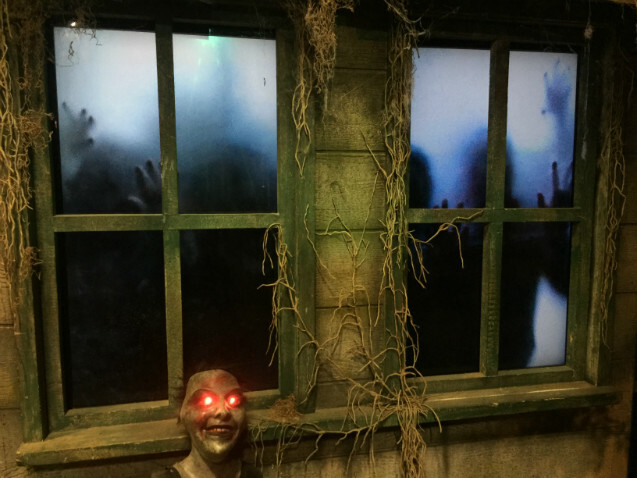 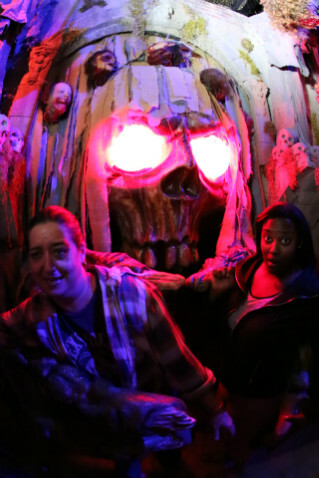 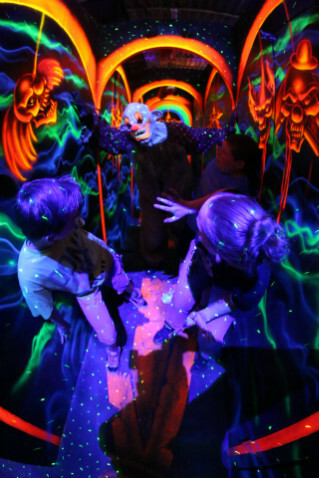 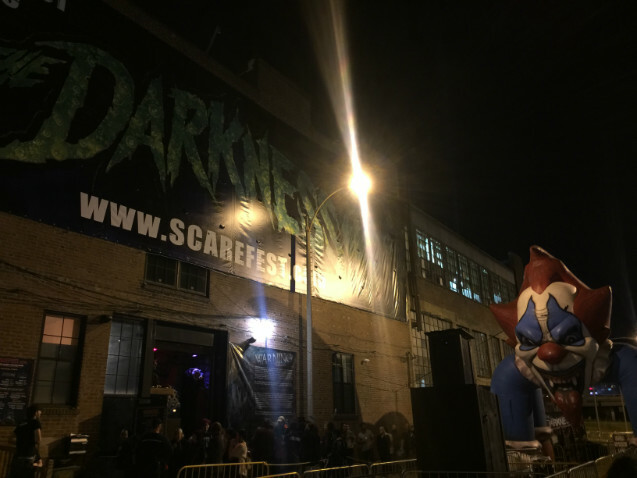 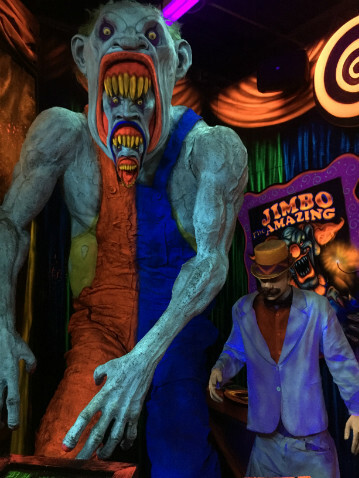 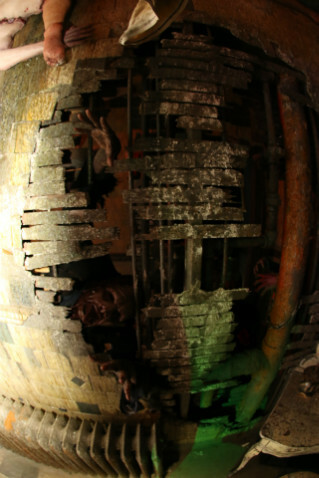 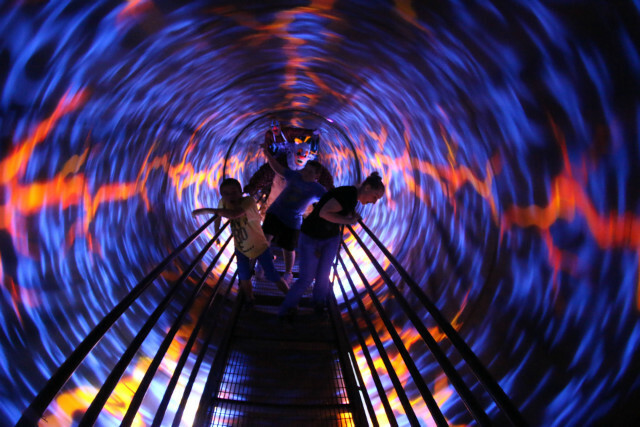 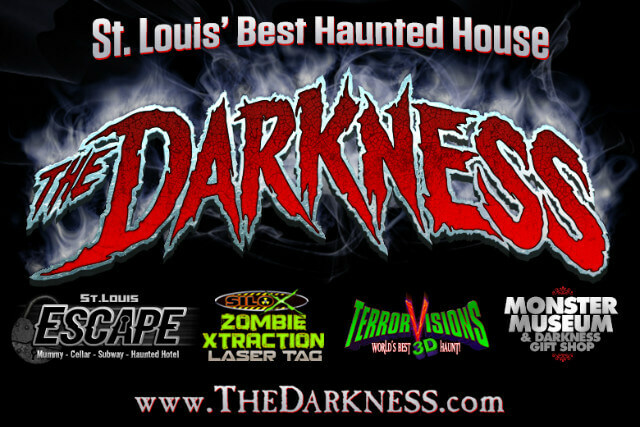 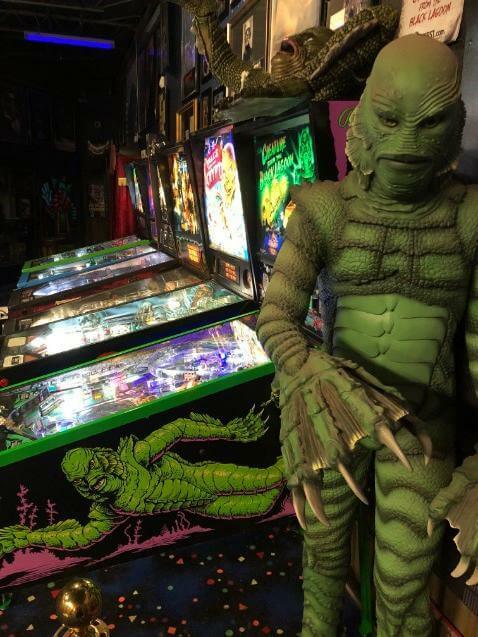 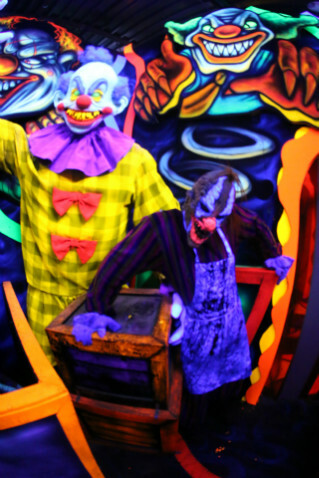 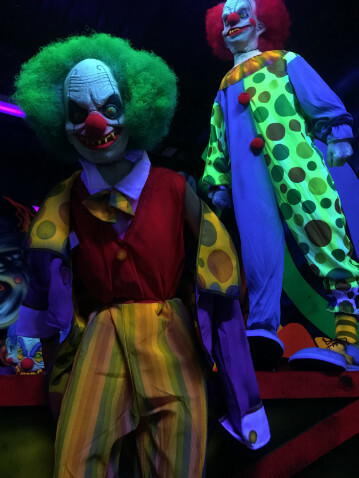 The Darkness, Creepyworld, Zombie Laser Tag, Haunted Hayrides and St Louis Escape. 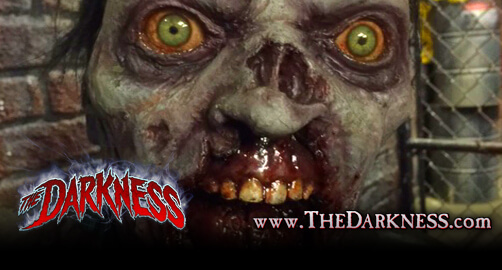 View all of our horror themed videos from zombie to monsters. 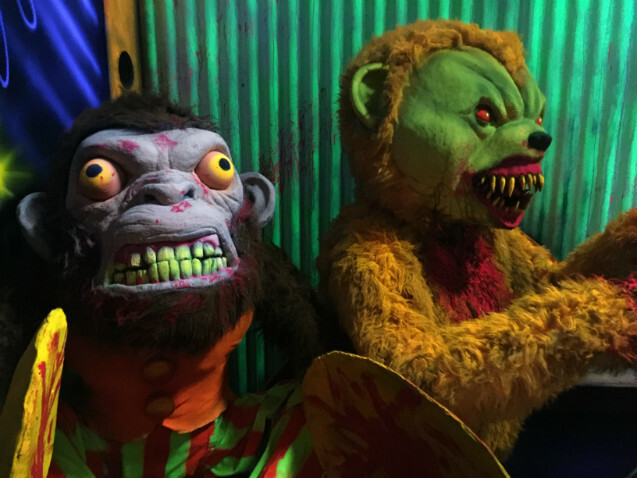 Join our instagram page to see tons of horror themed photos from zombies to monsters. 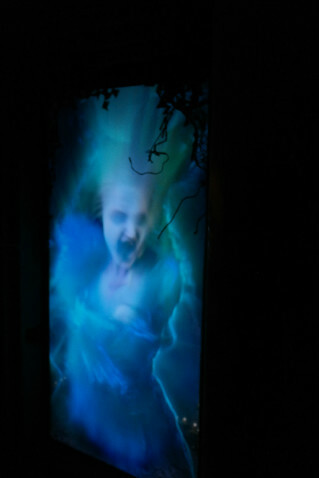 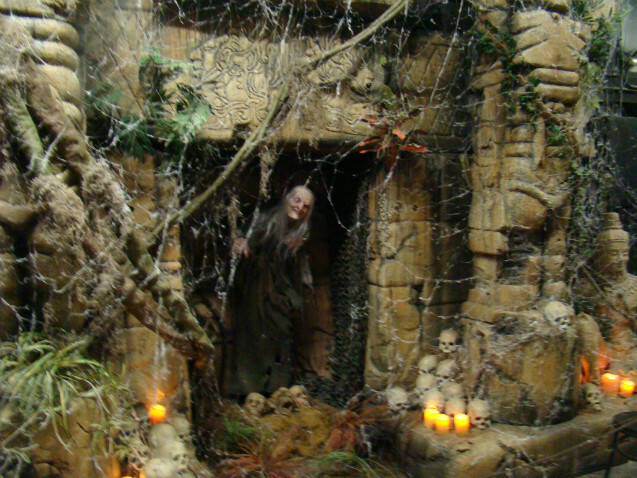 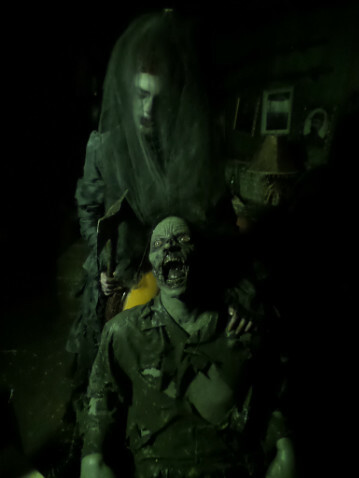 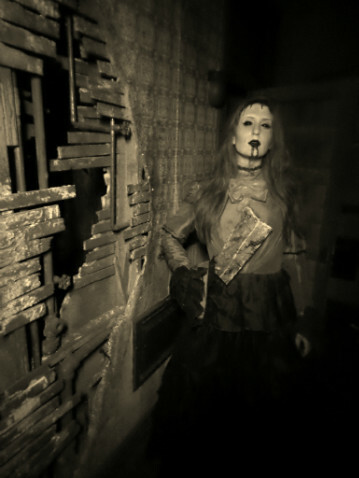 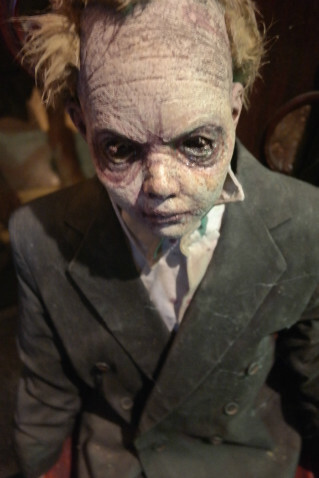 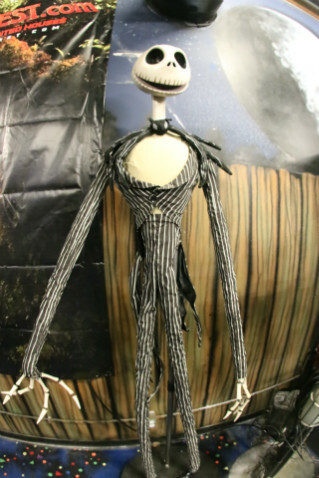 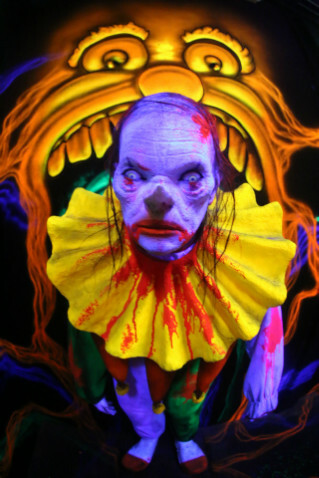 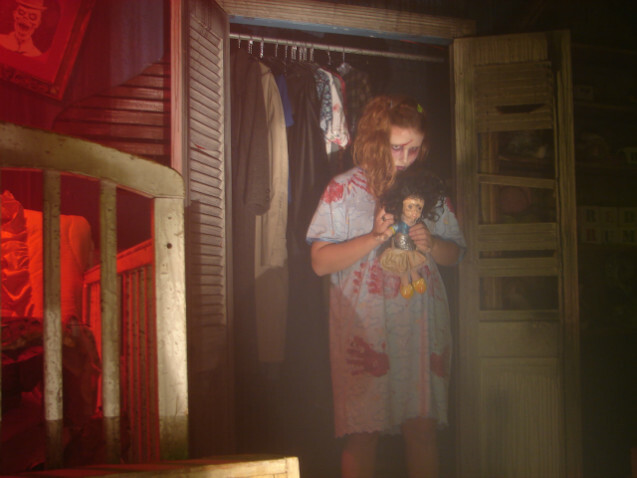 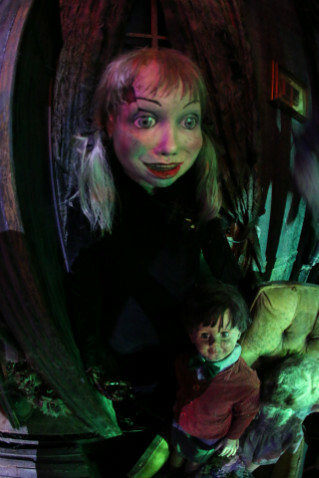 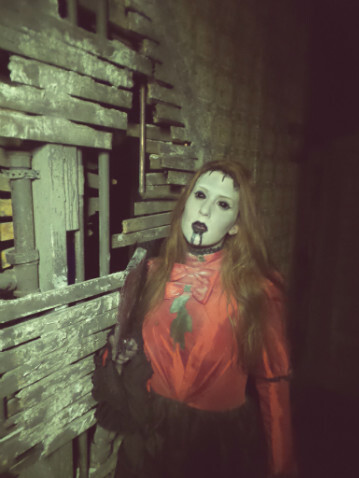 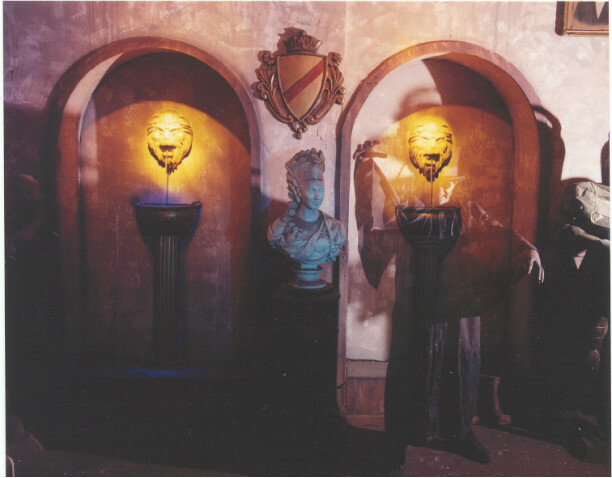 Our haunted houses are the best in the entire Midwest and some of the biggest and best in America. 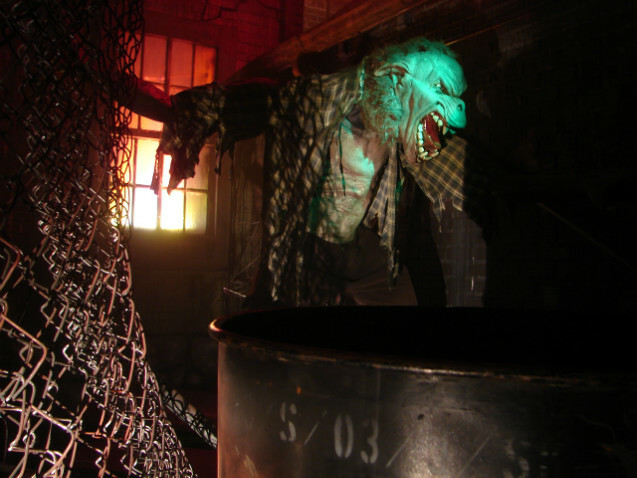 This page is dedicated to photos of the best haunted houses here in St Louis Missouri. 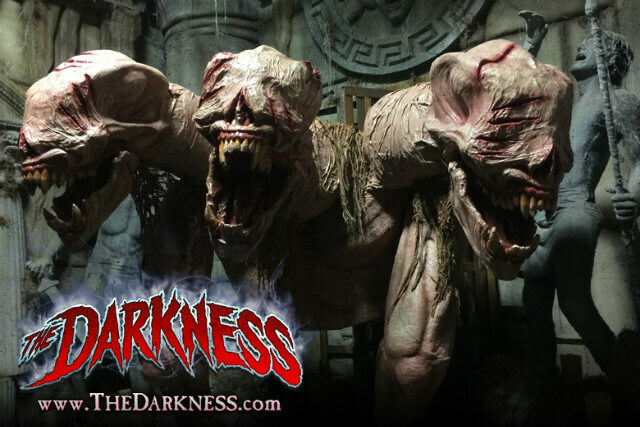 Find photos of Creepyworld and The Darkness. 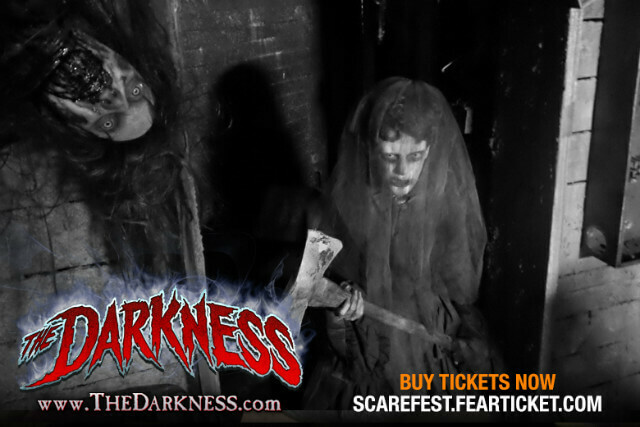 Buy your tickets ONLINE and save time at the box office. 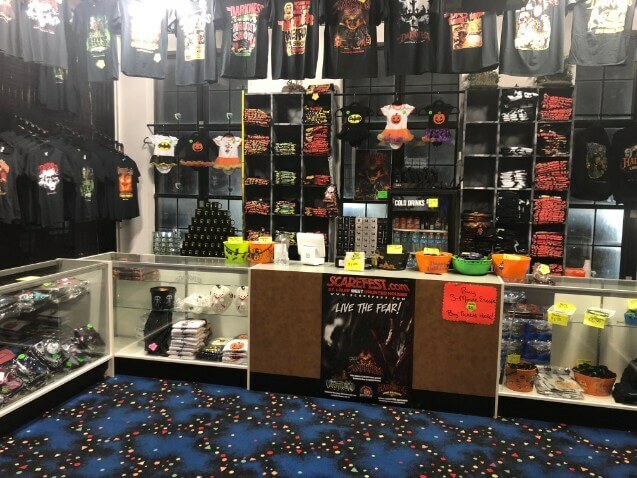 Over half of your wait time is waiting to buy tickets. 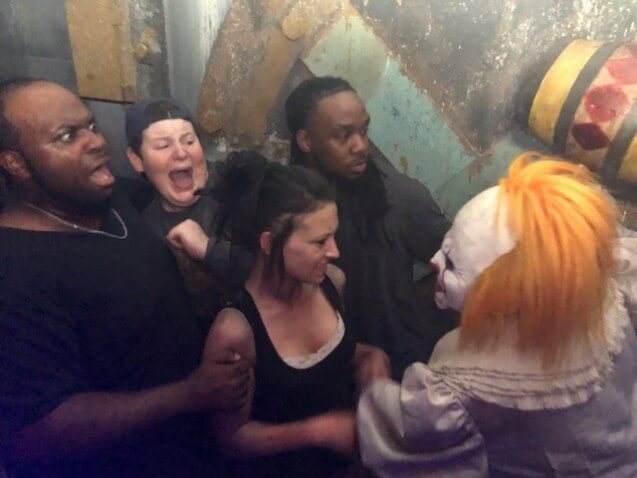 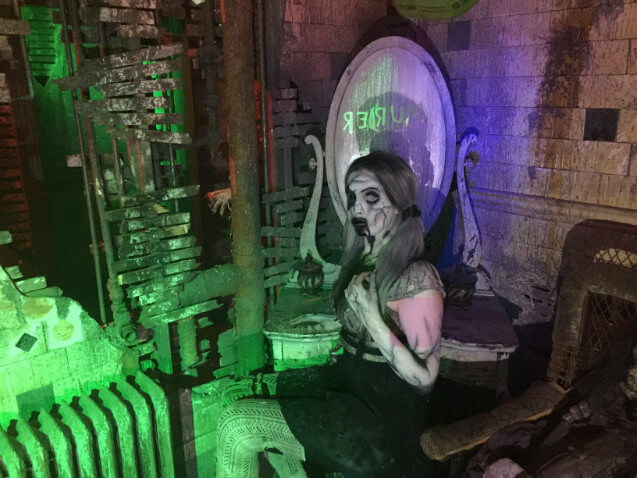 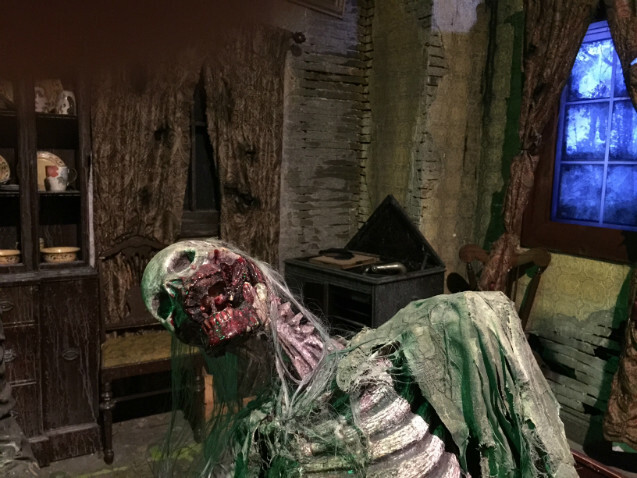 America's Scariest Haunted Houses are The Darkness, Lemp Haunted House and Creepyworld located in the St Louis Missouri area. 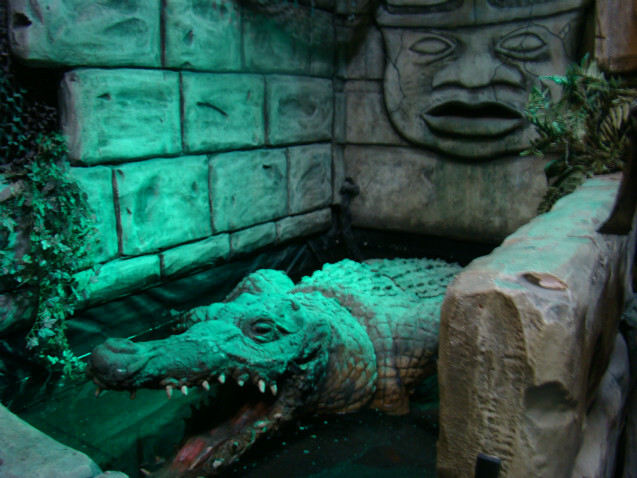 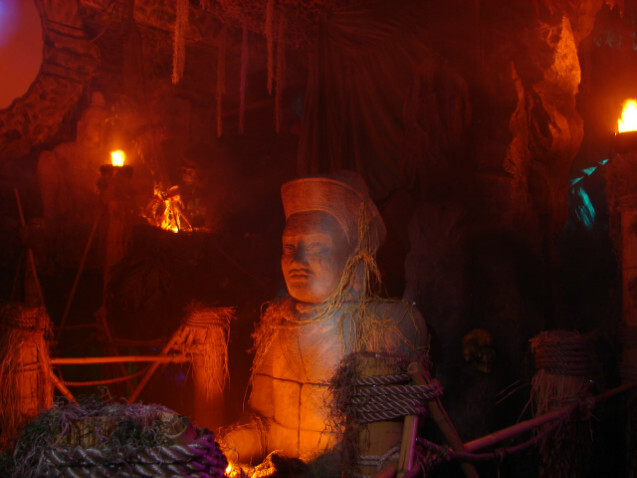 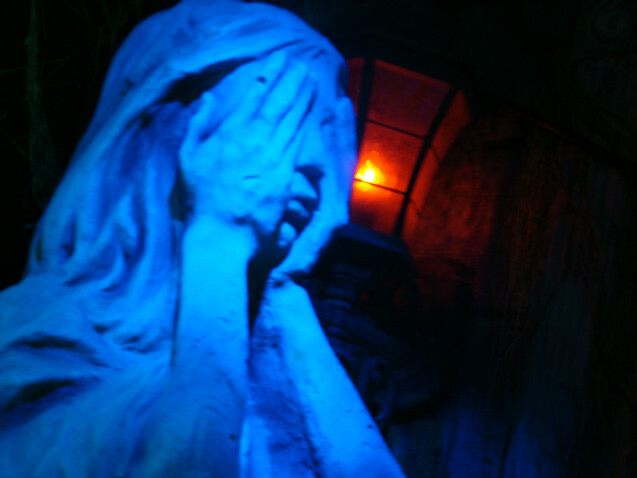 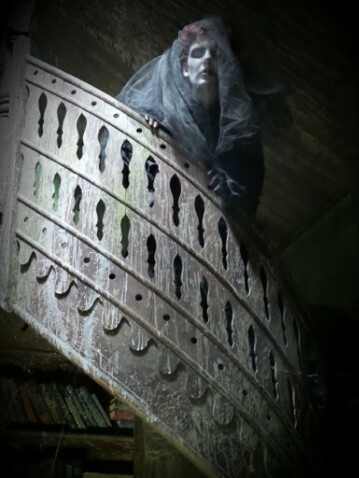 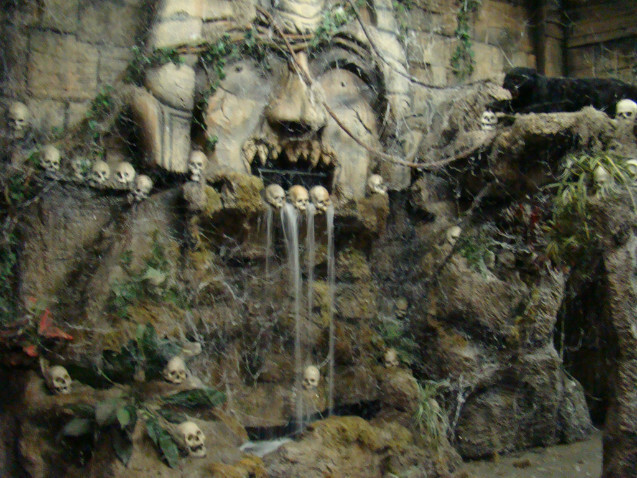 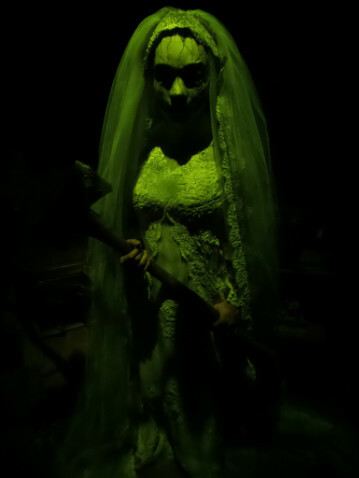 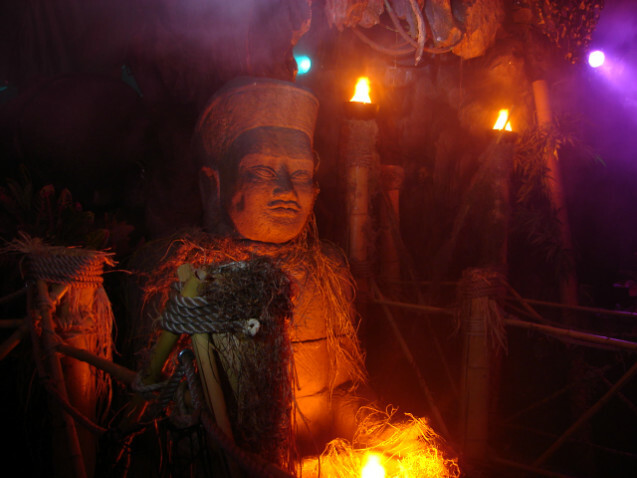 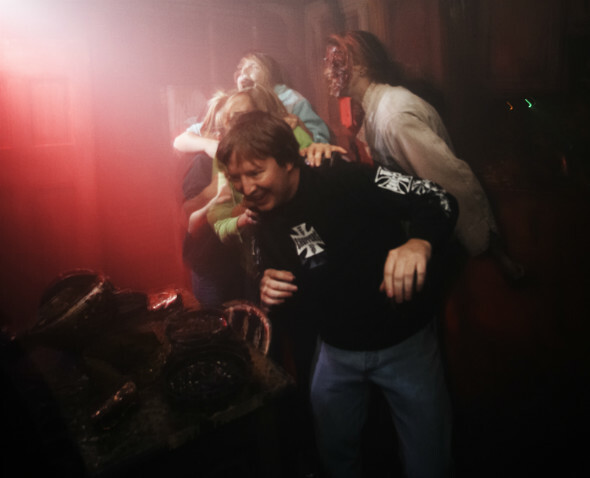 Find more information about the best haunted attractions in Missouri Illinois area. 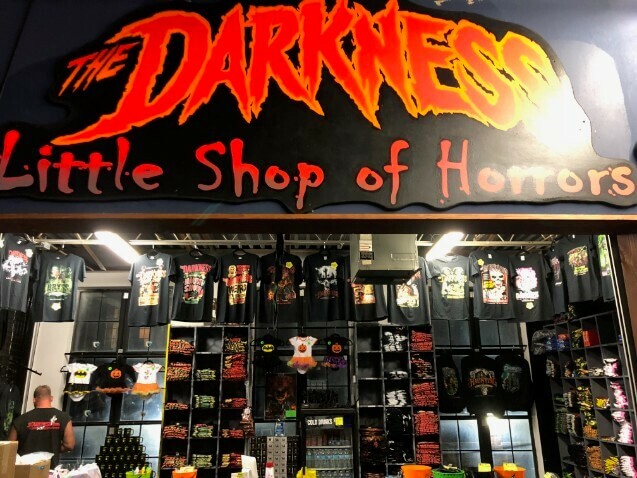 The Darkness is located downtown St Louis just a few blocks from the St Louis Cardinals Busch Stadium and Ball Park Village in historic Soulard. 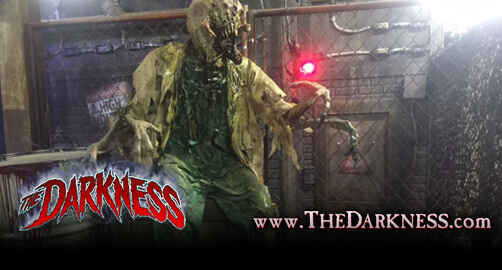 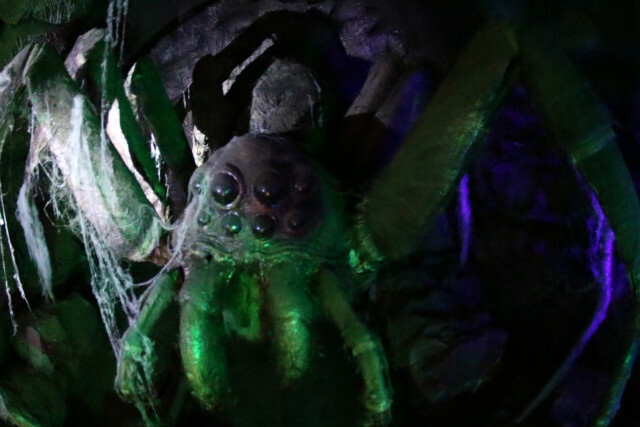 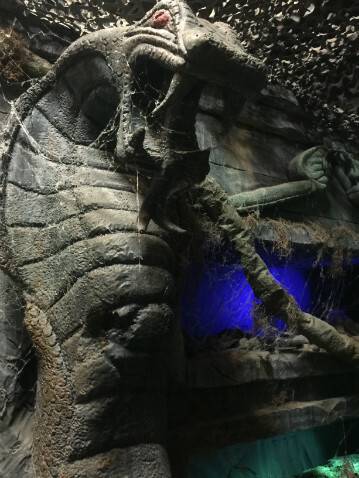 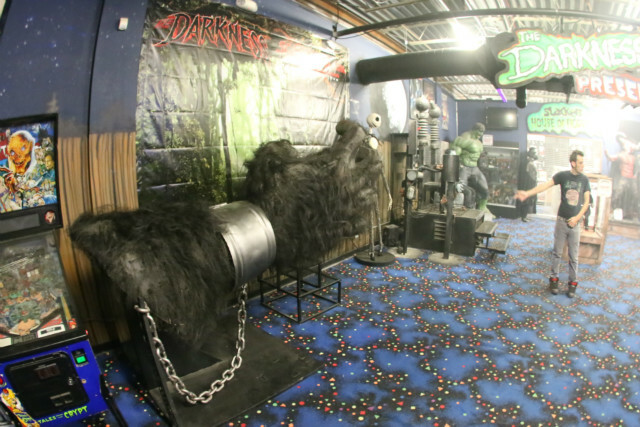 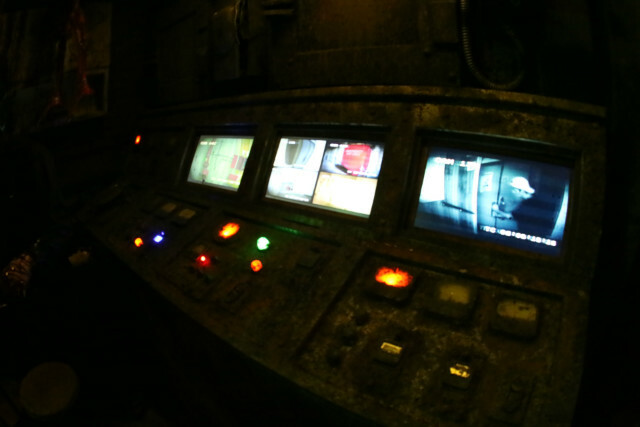 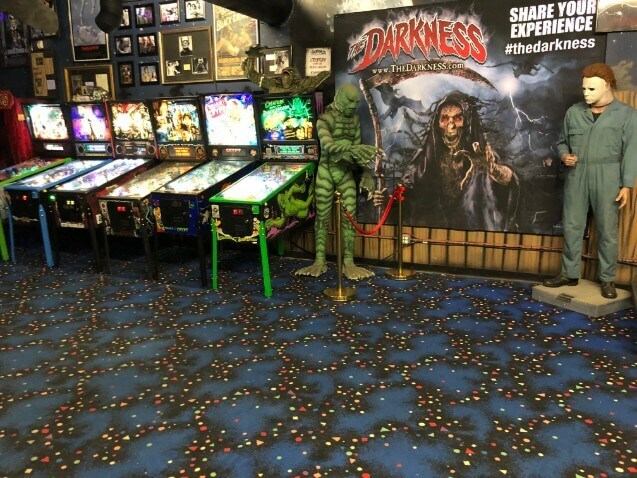 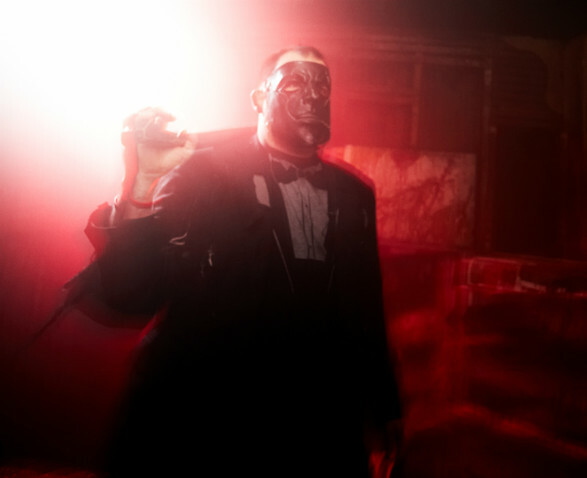 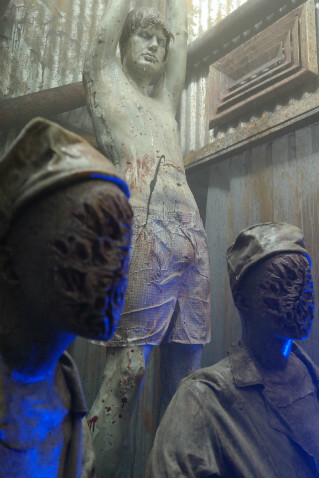 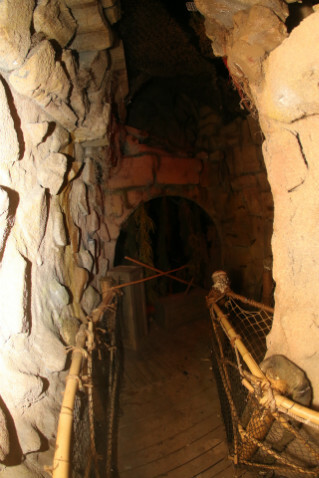 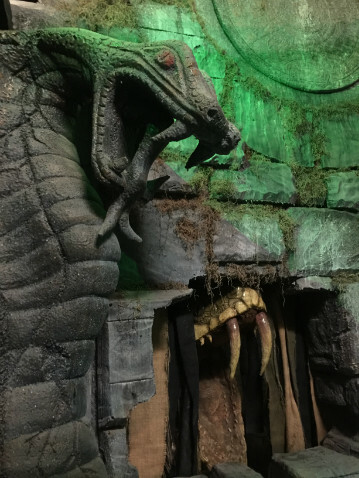 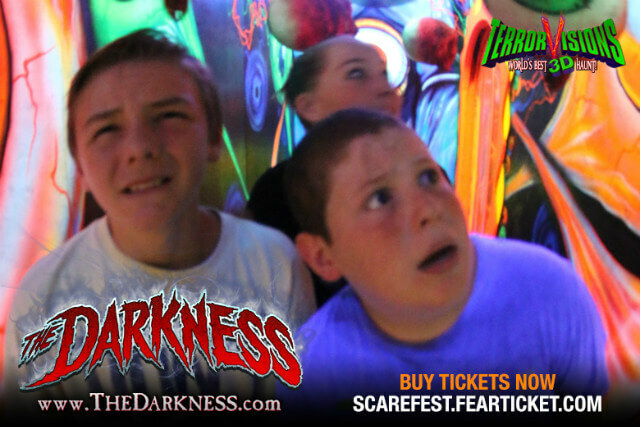 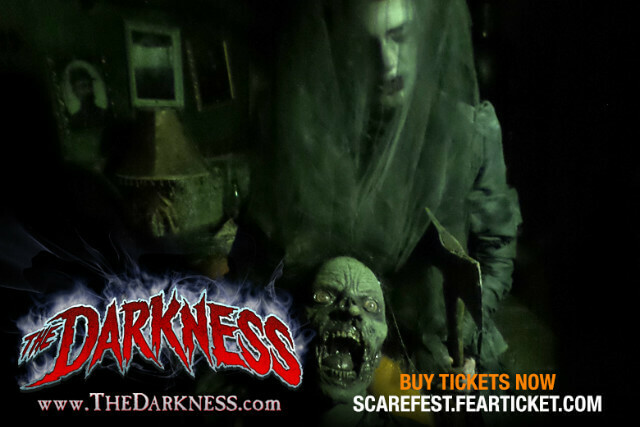 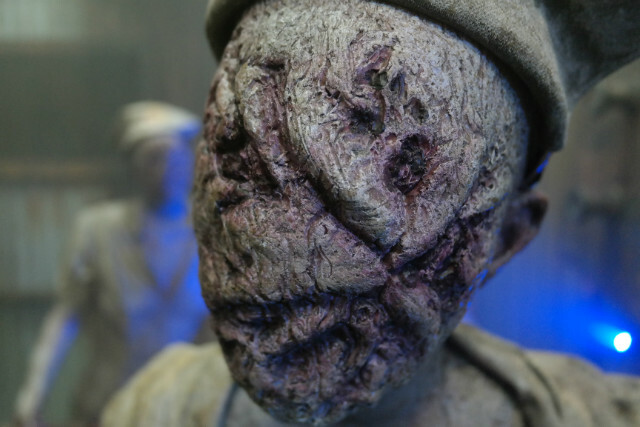 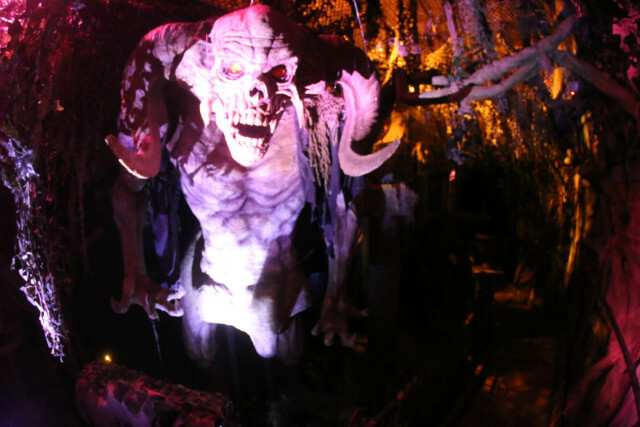 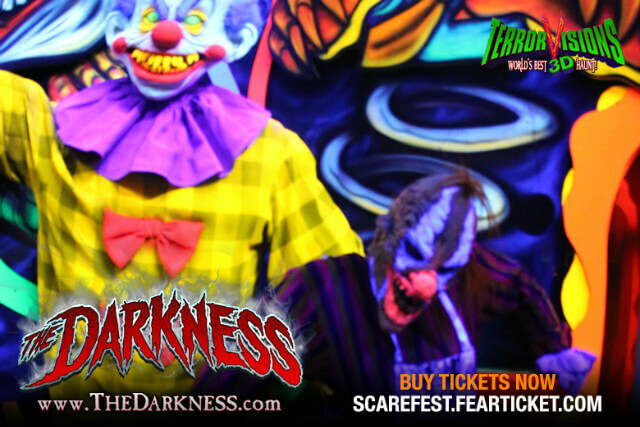 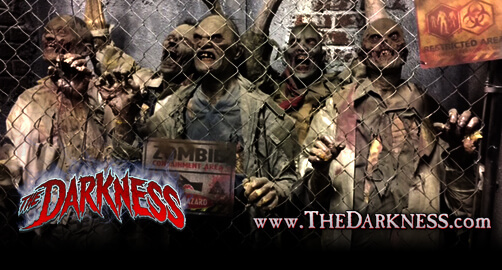 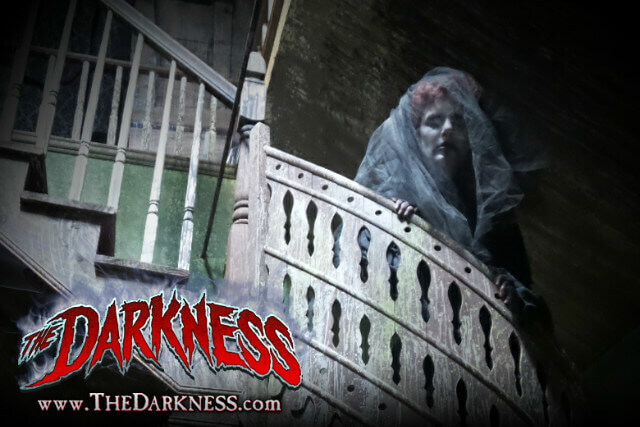 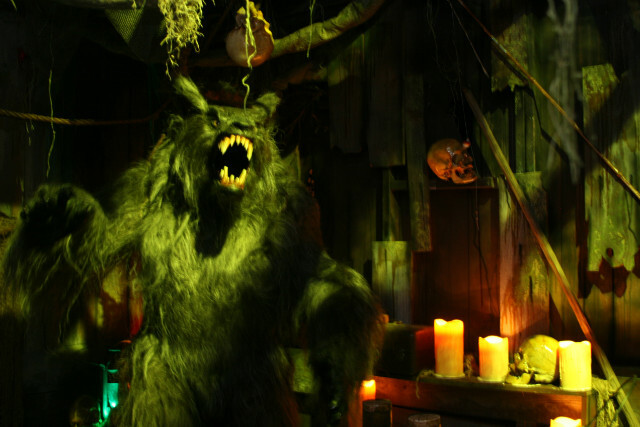 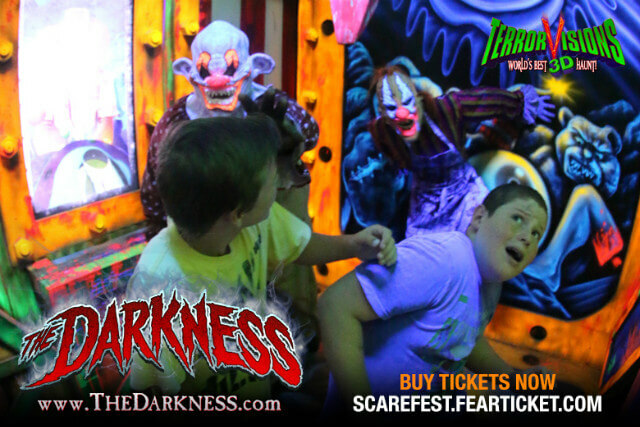 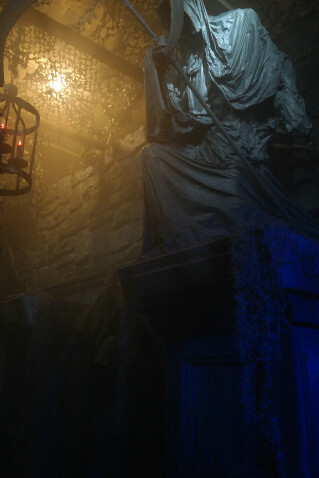 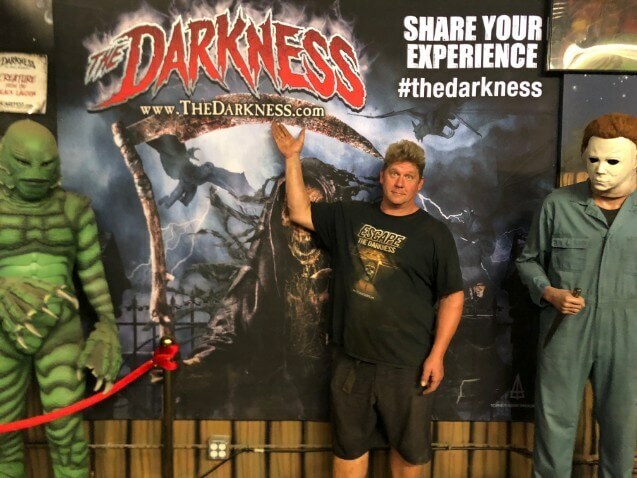 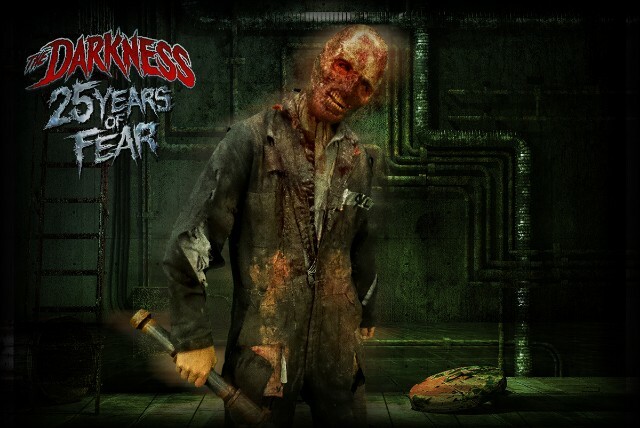 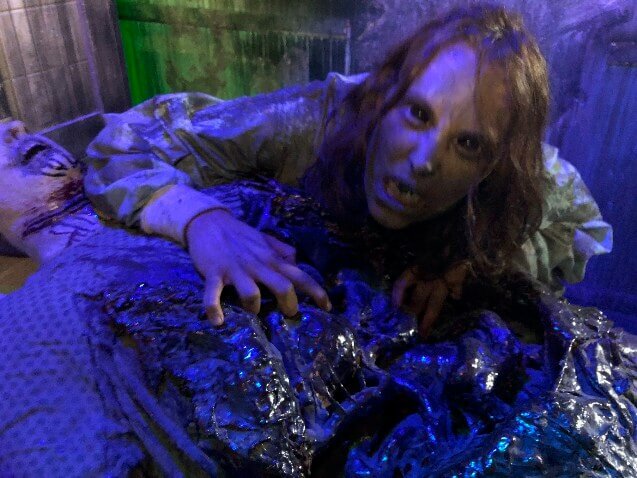 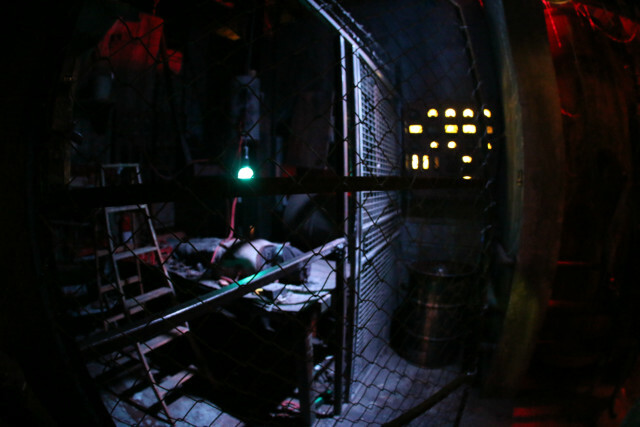 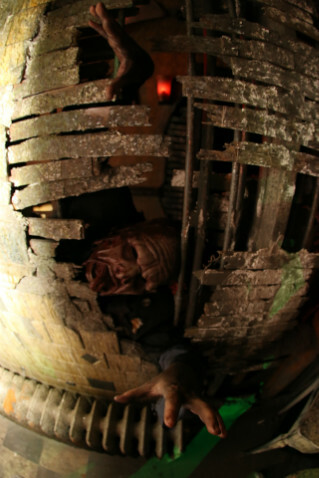 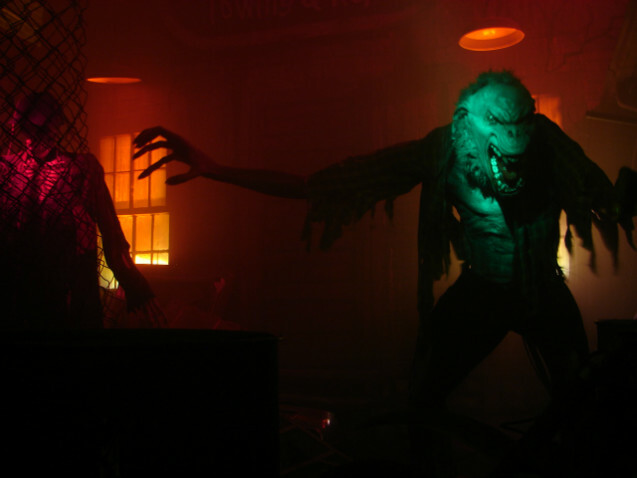 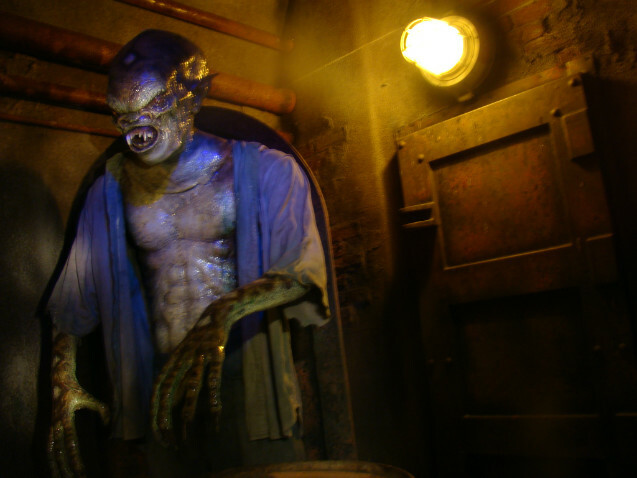 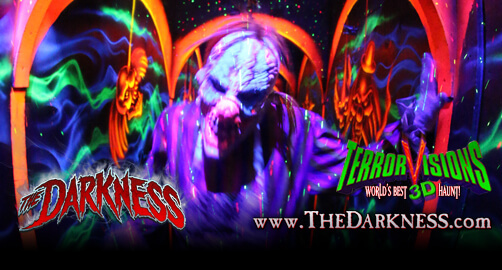 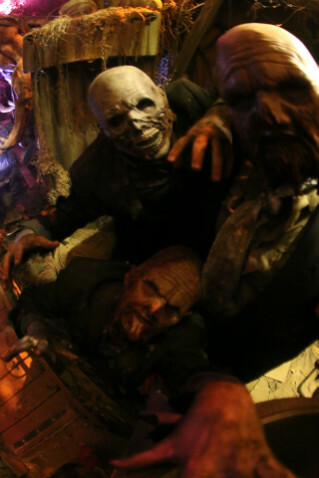 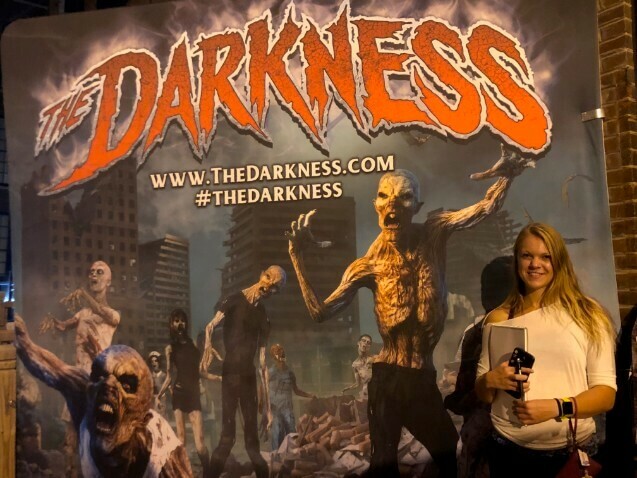 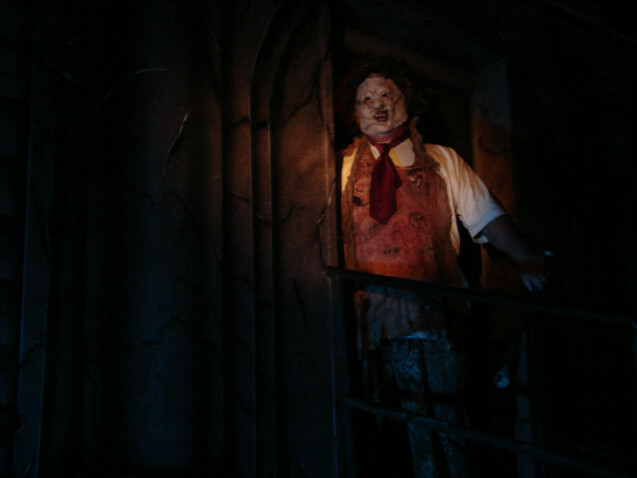 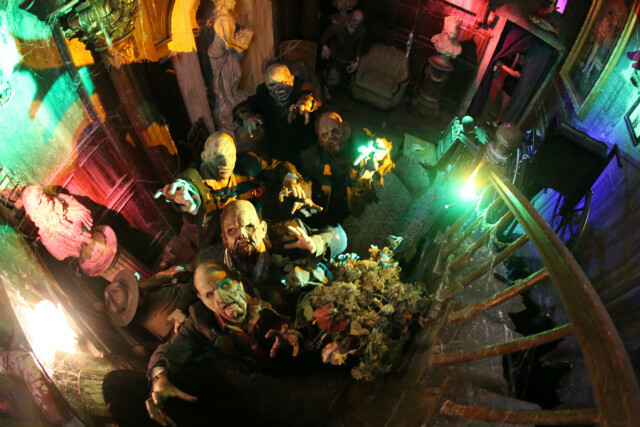 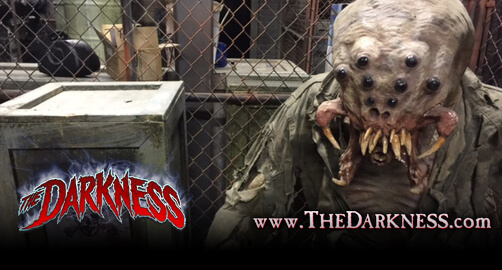 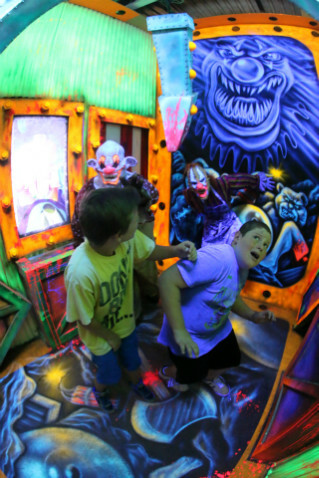 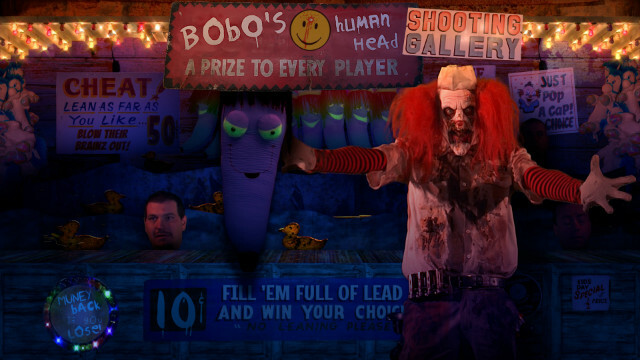 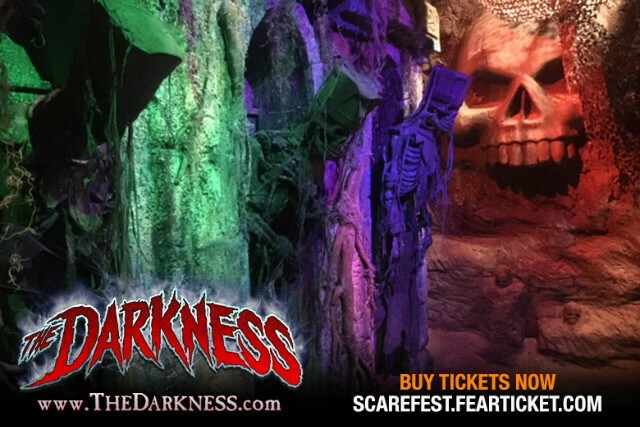 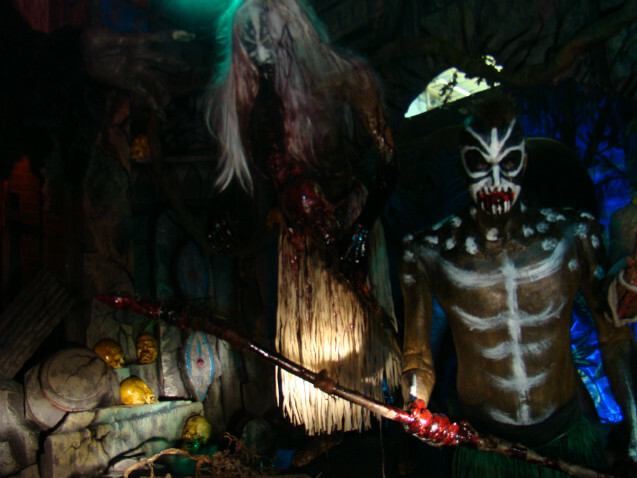 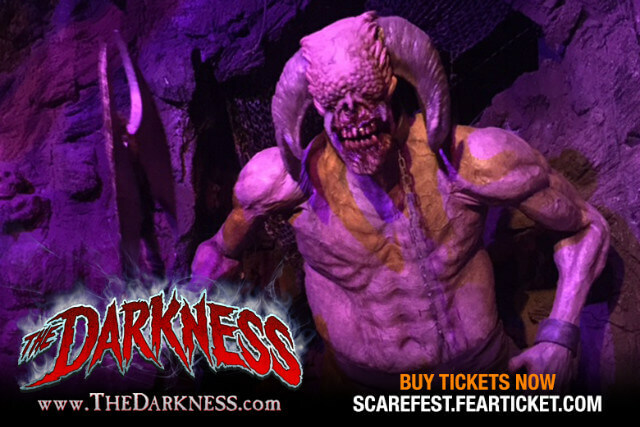 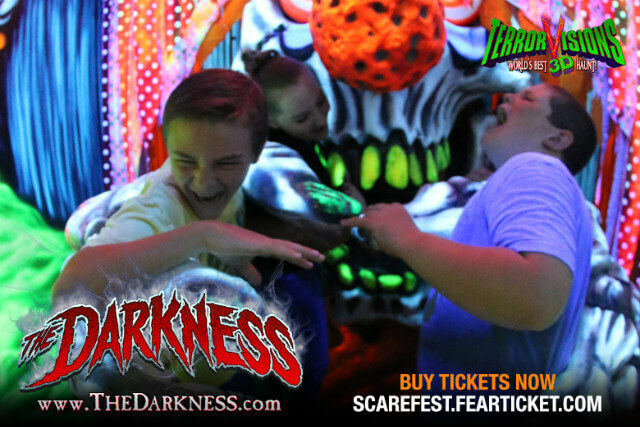 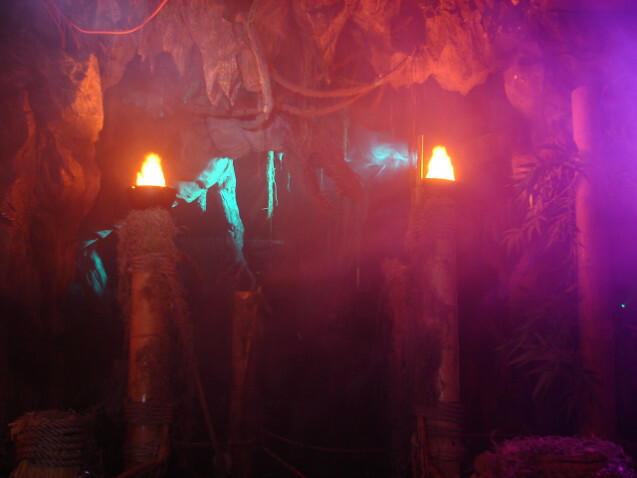 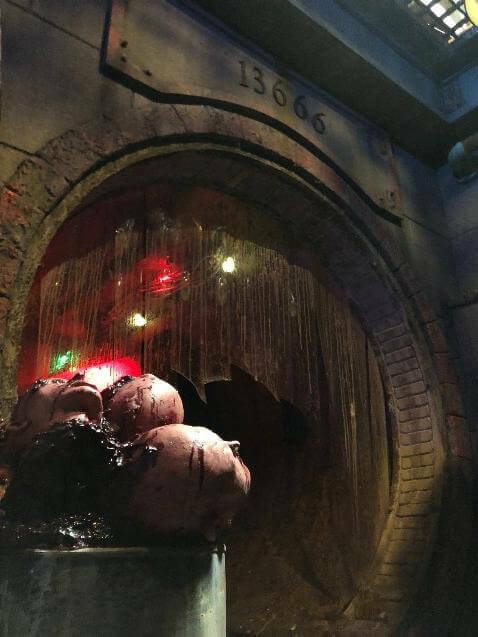 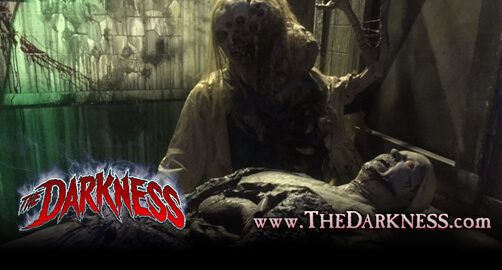 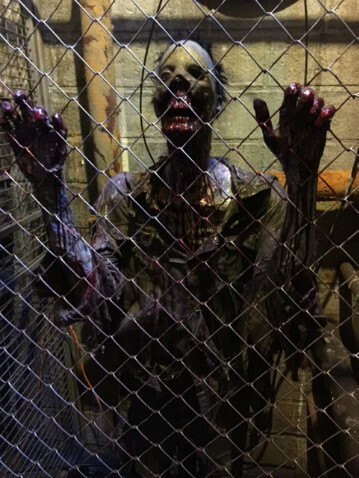 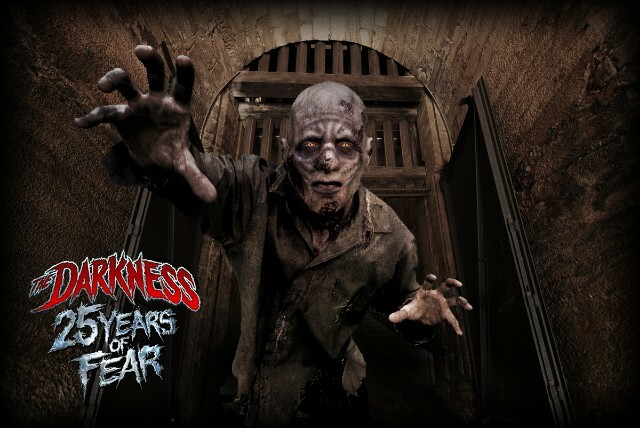 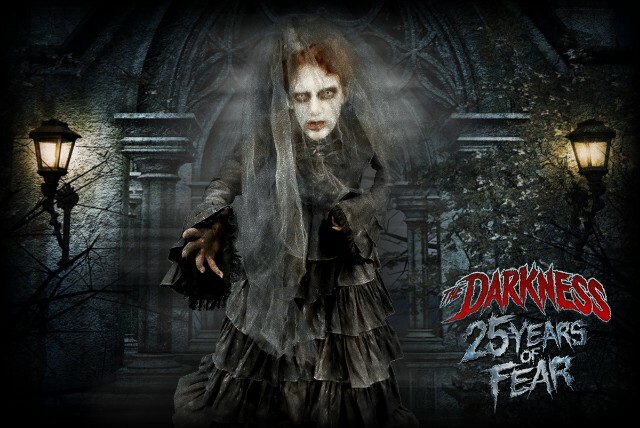 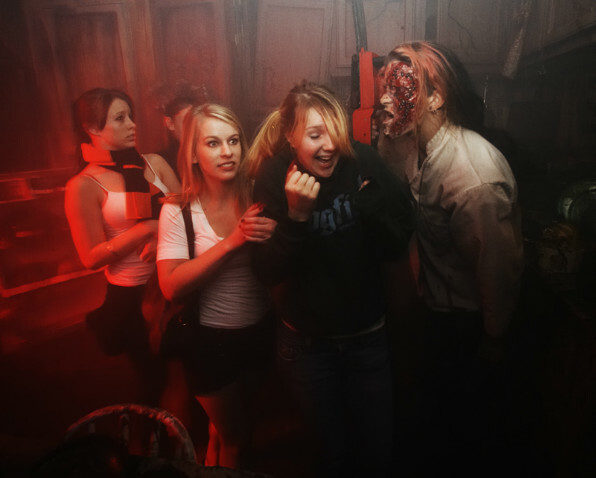 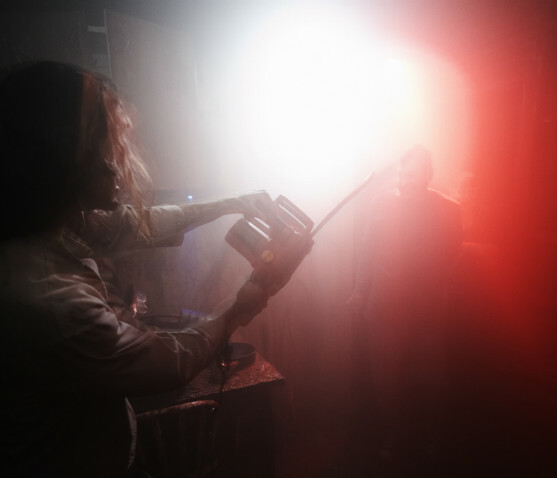 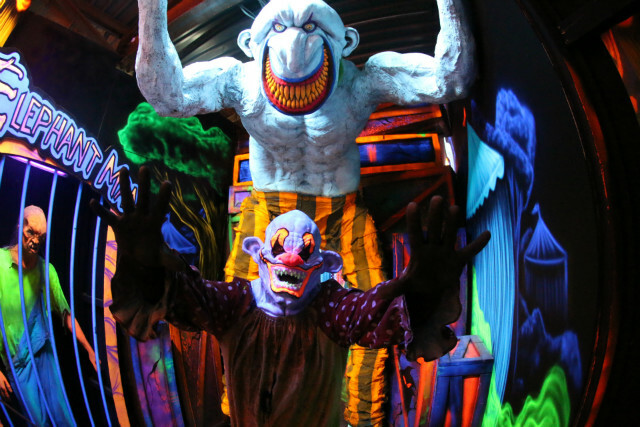 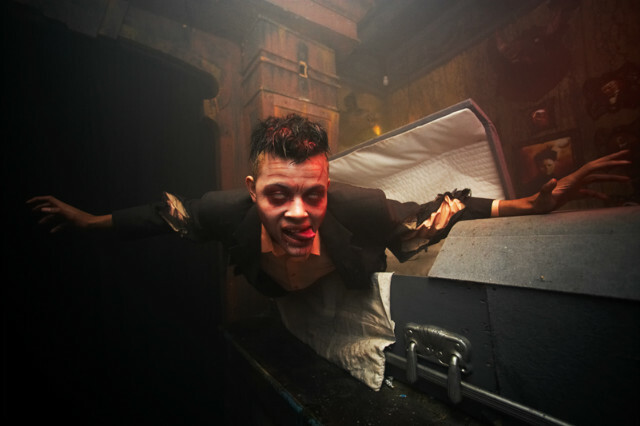 The Darkness features zombie laser tag, outdoor scream zone, The Hive haunted house, Monster Museum, and The Darkness haunted house. 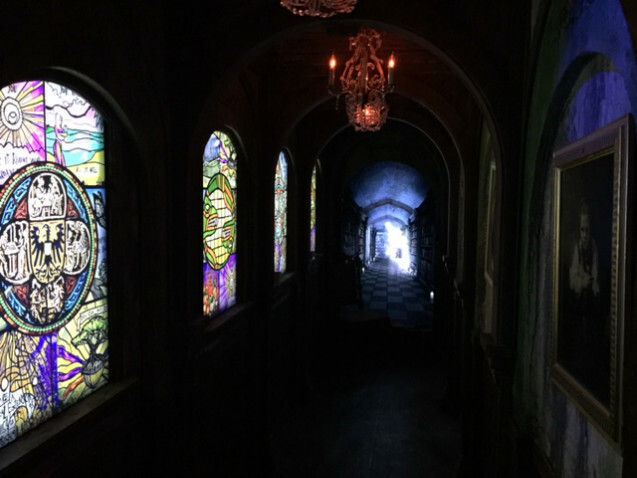 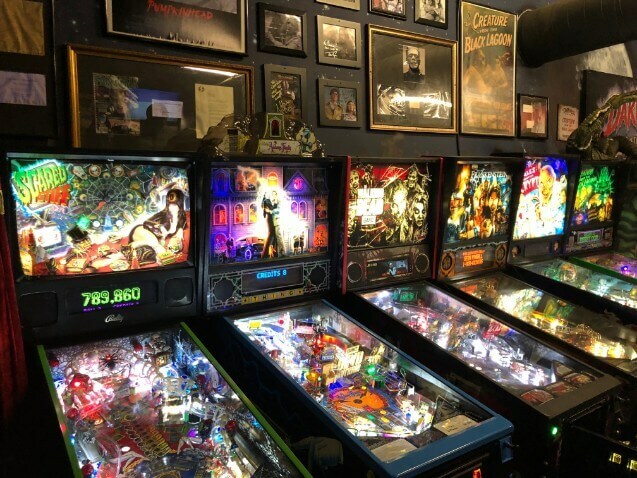 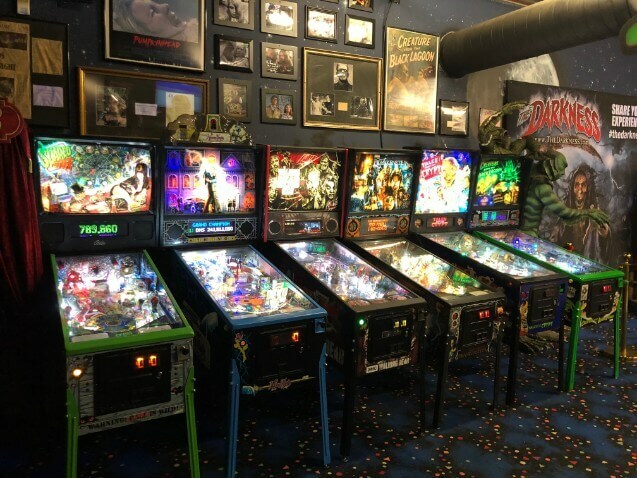 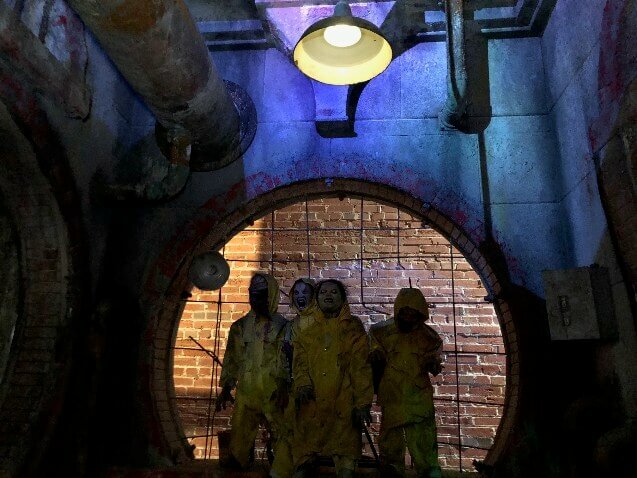 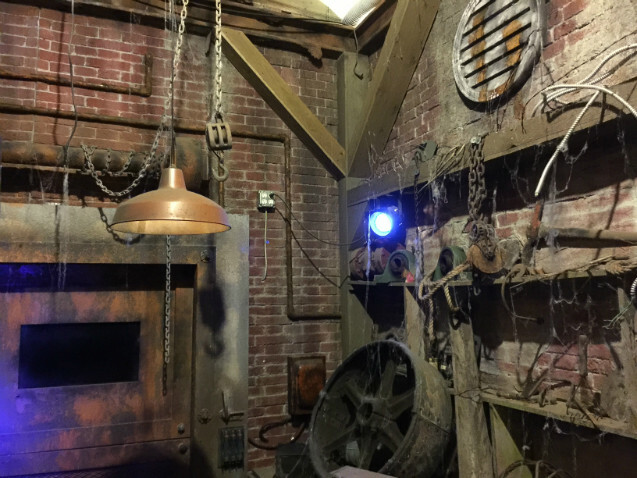 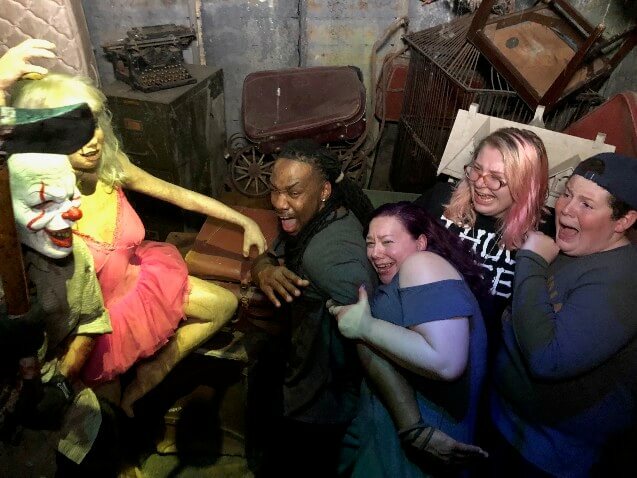 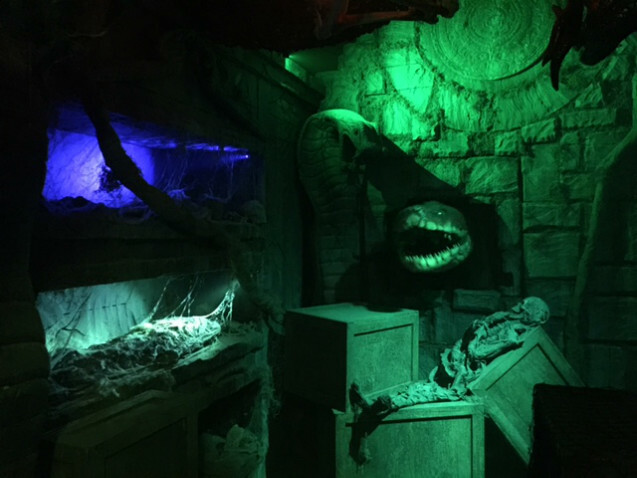 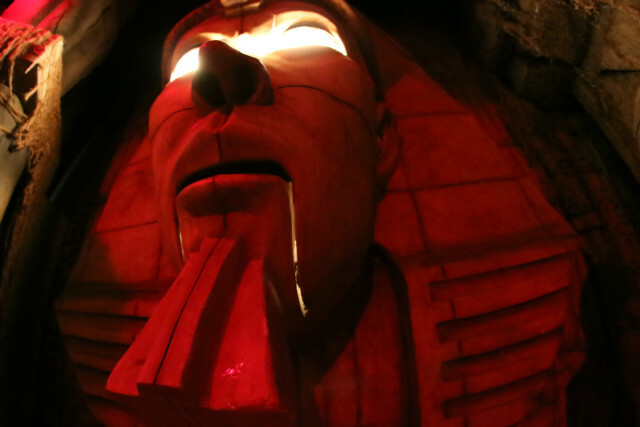 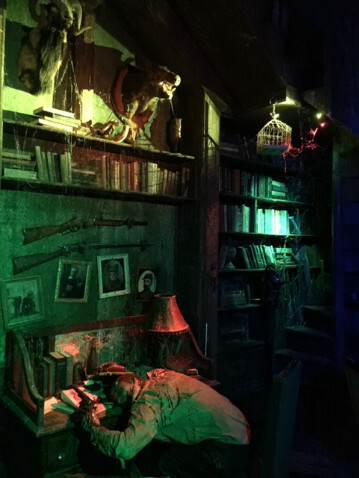 Next door to The Darkness is St Louis Escape with four different escape rooms in one location. 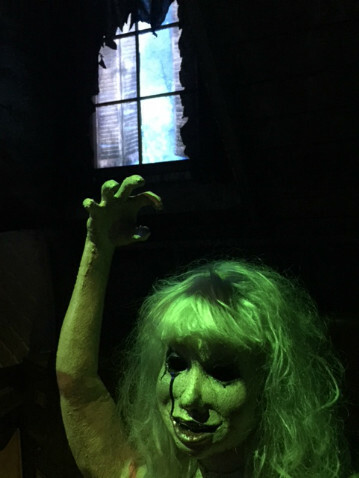 The Lemp Haunted House 'House of Occult' is located just down the street from The Darkness. 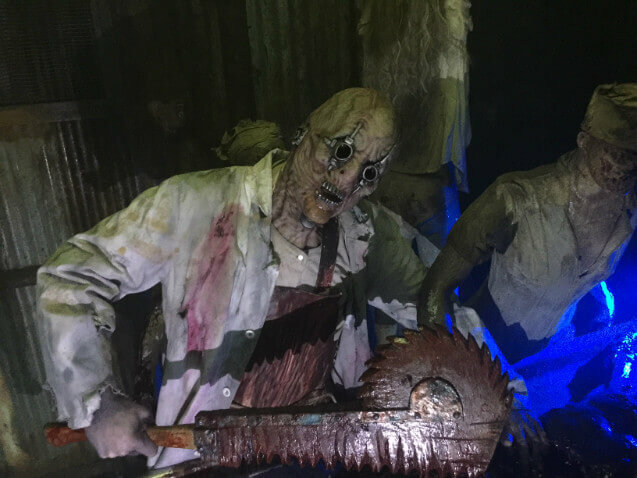 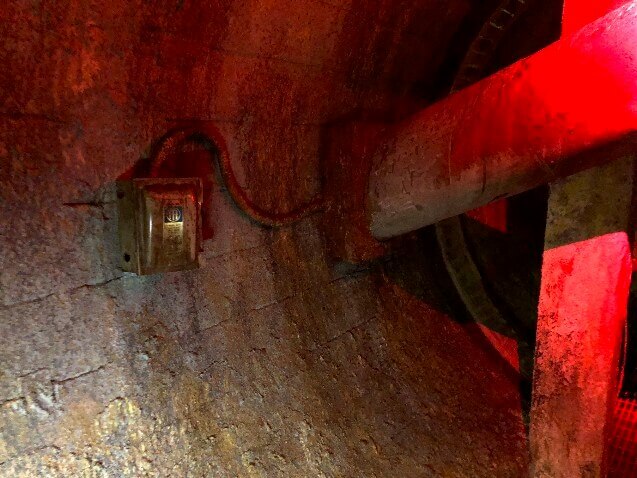 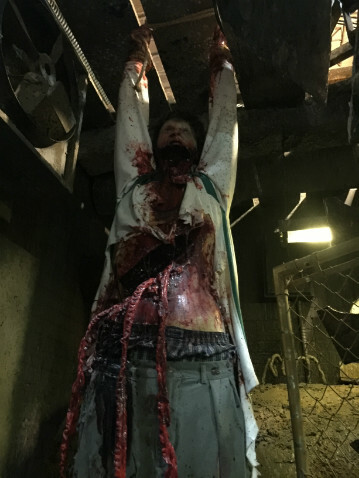 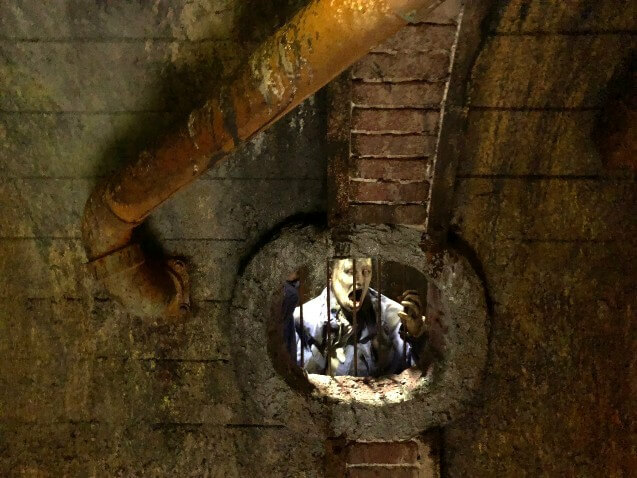 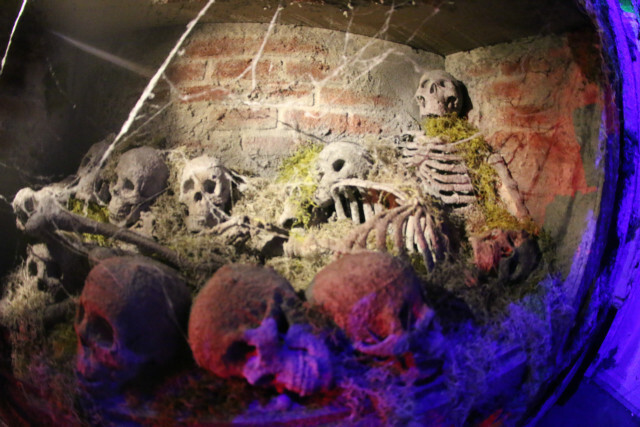 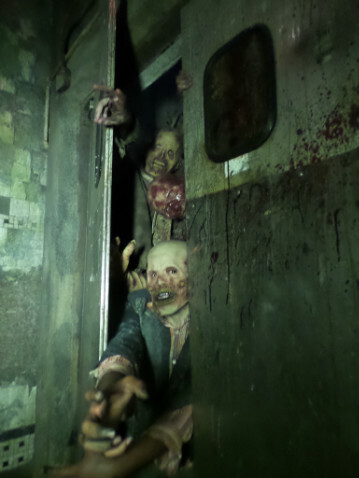 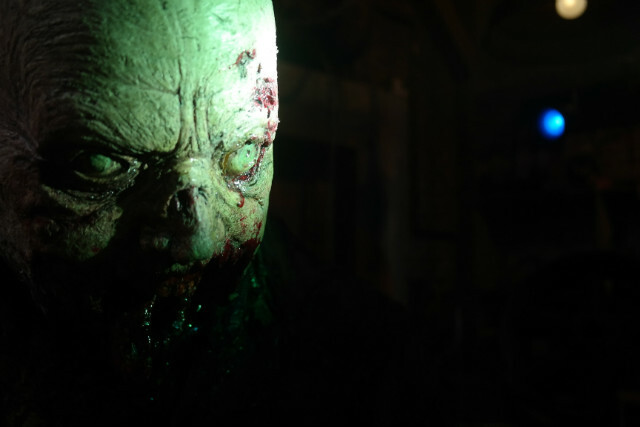 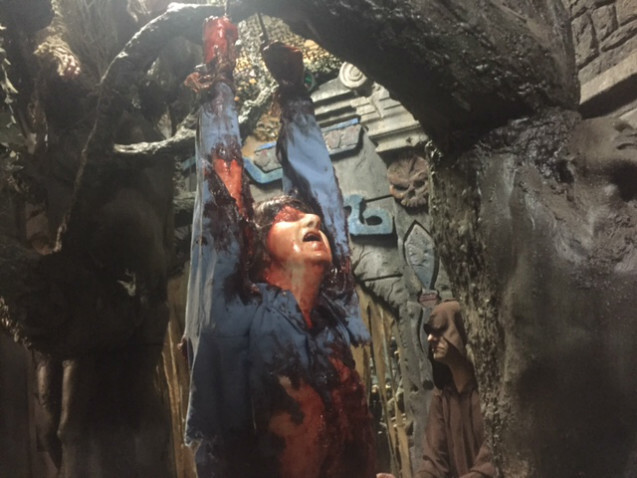 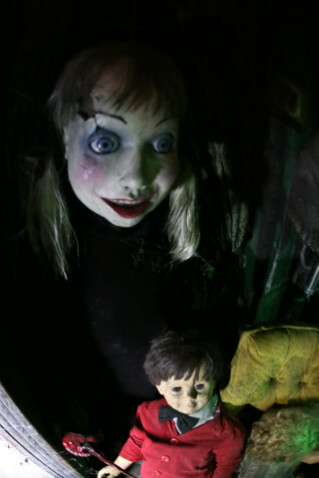 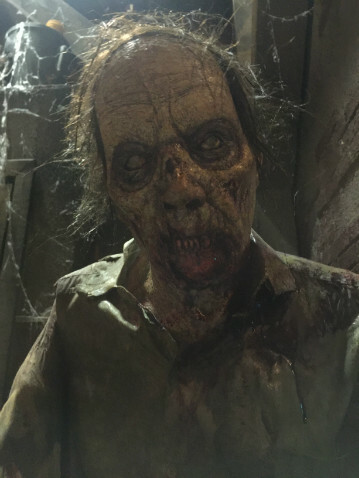 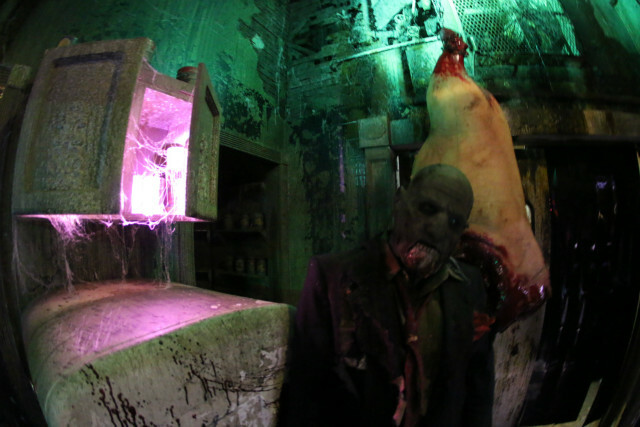 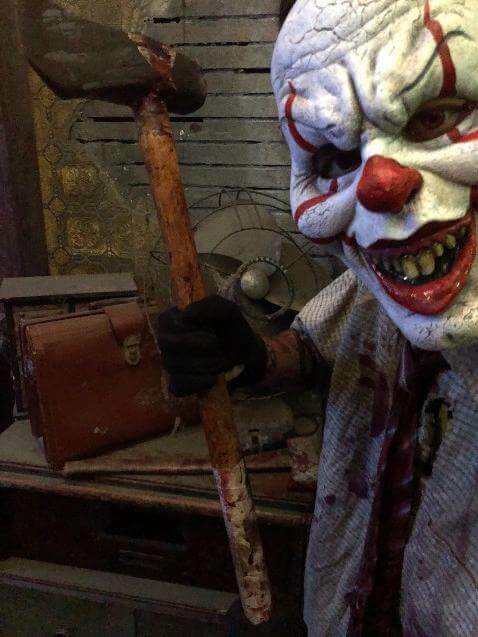 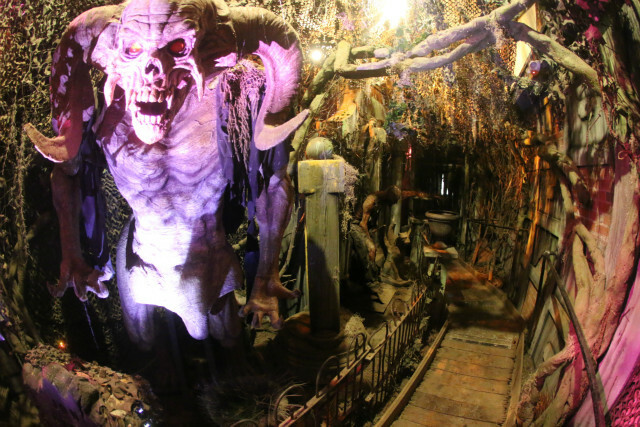 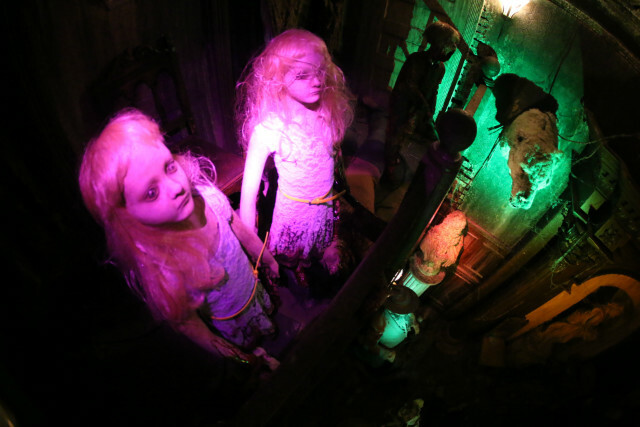 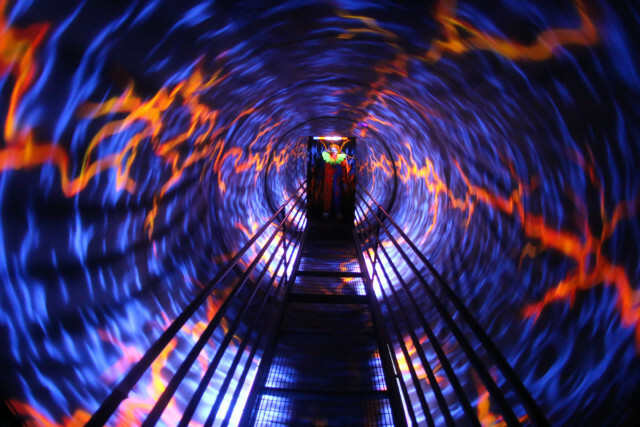 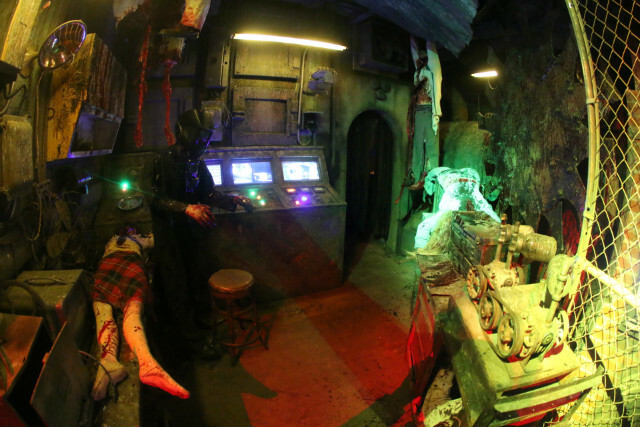 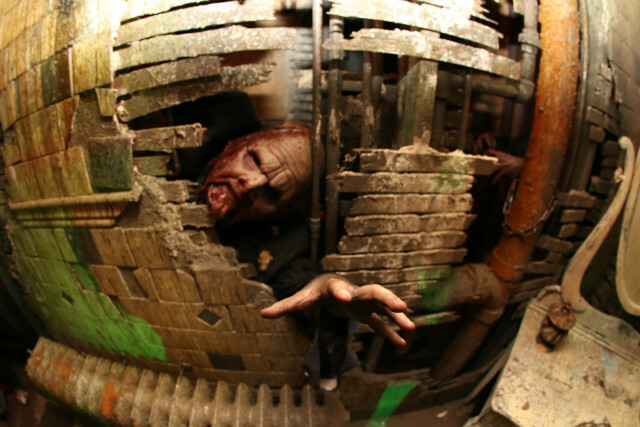 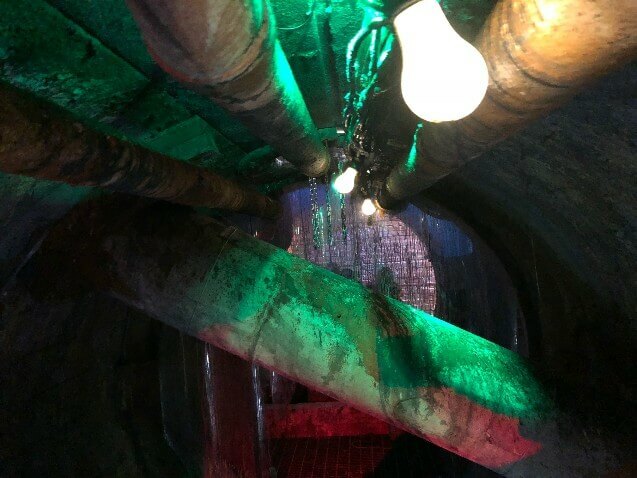 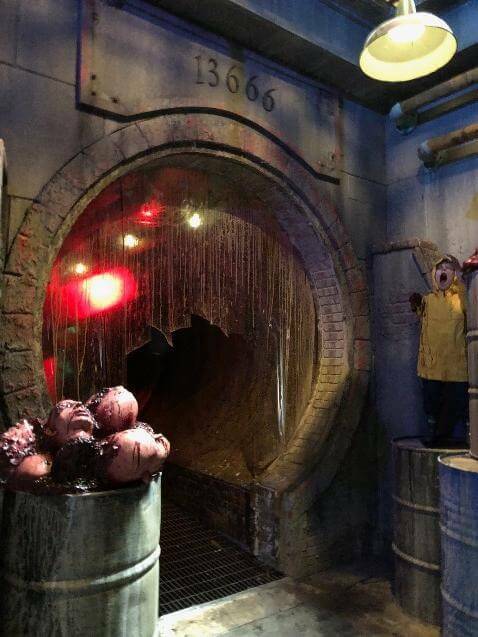 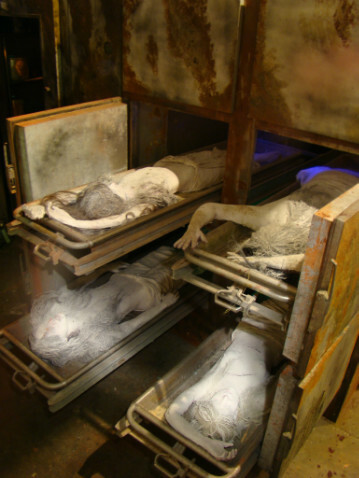 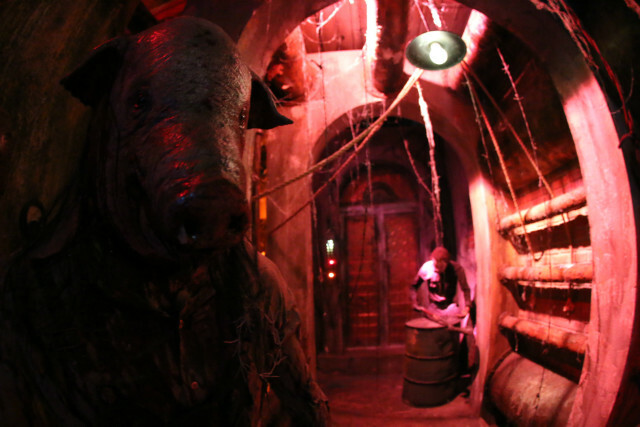 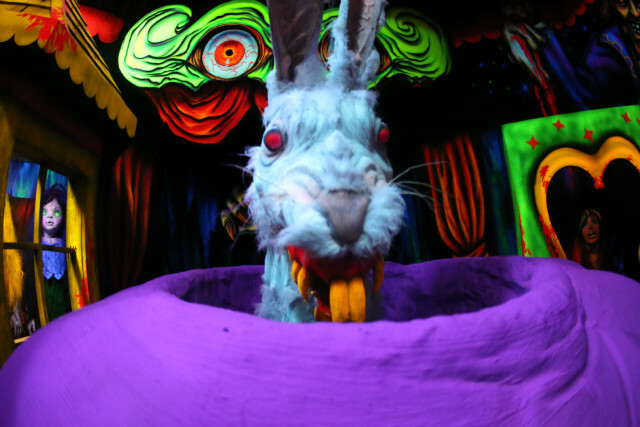 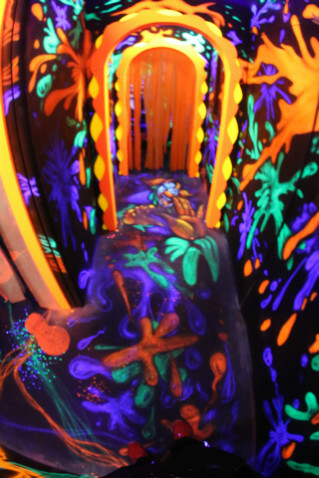 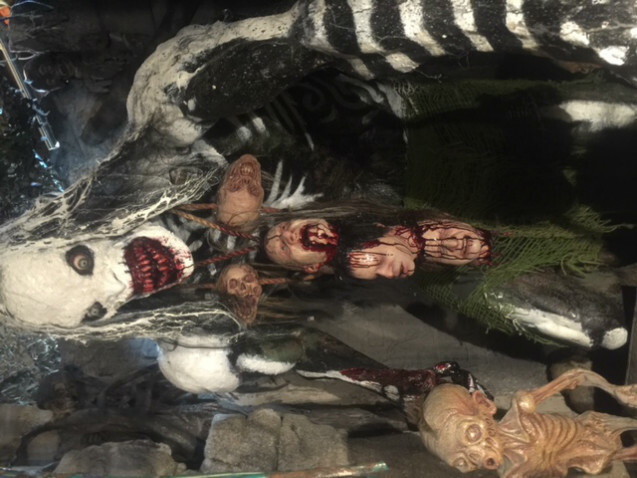 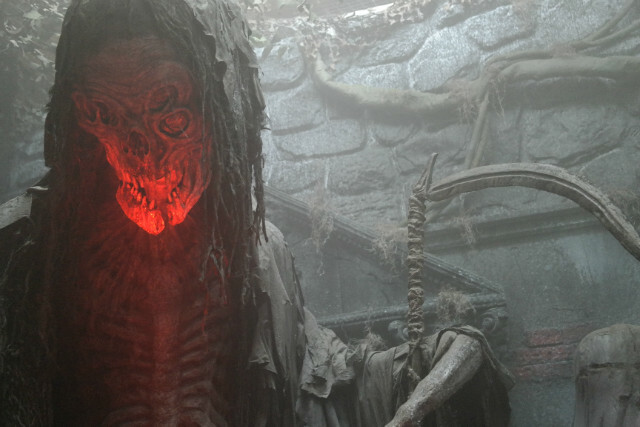 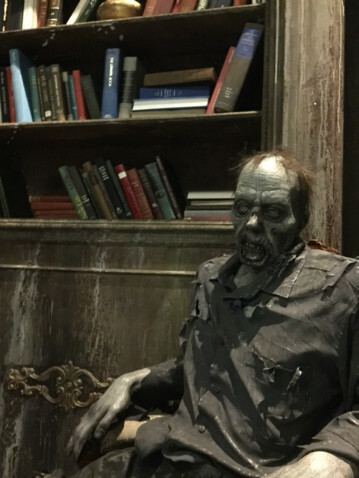 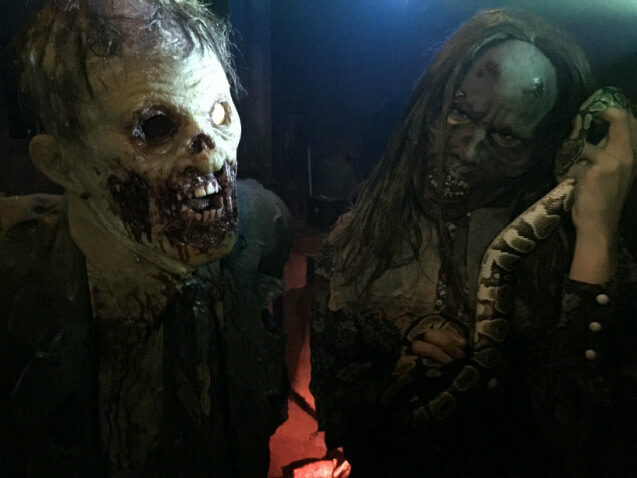 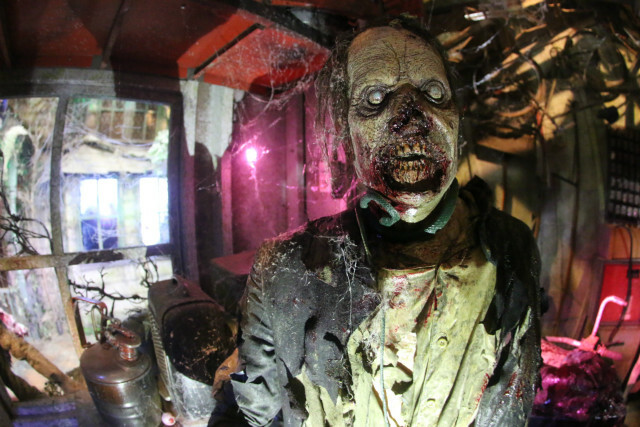 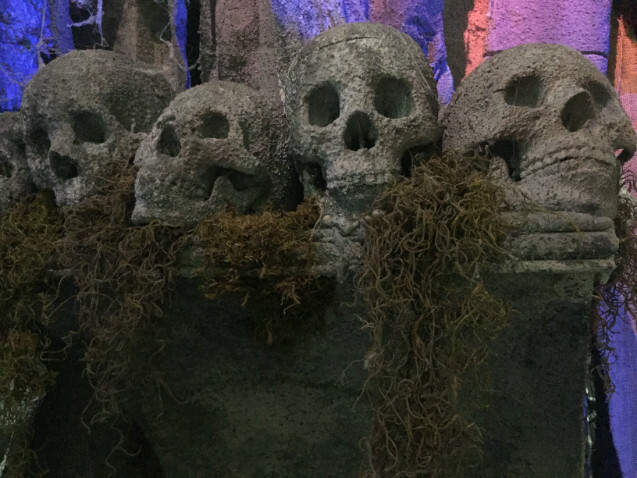 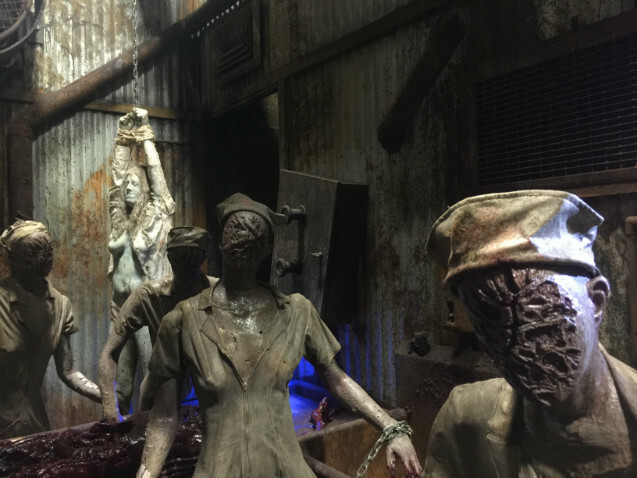 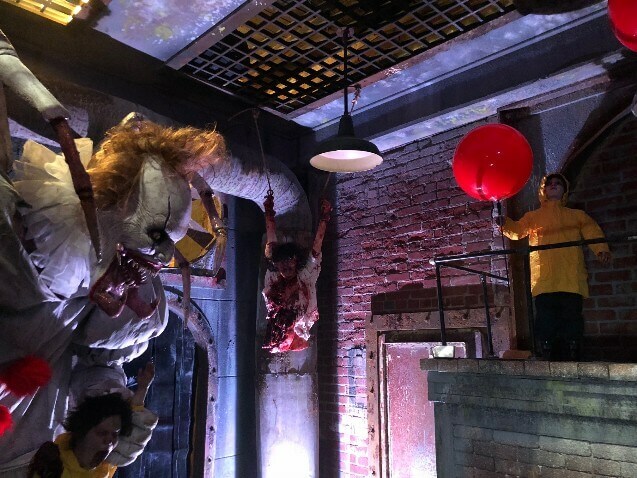 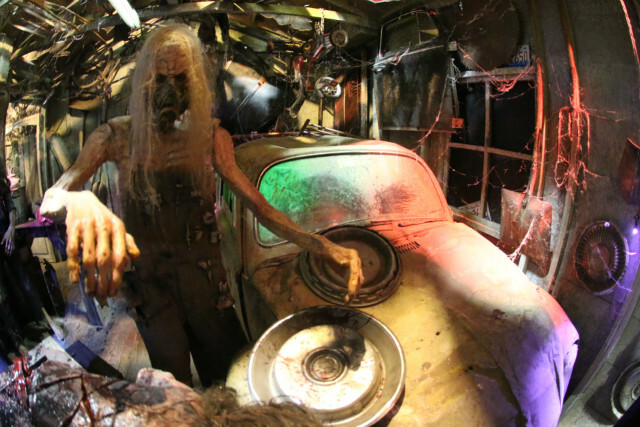 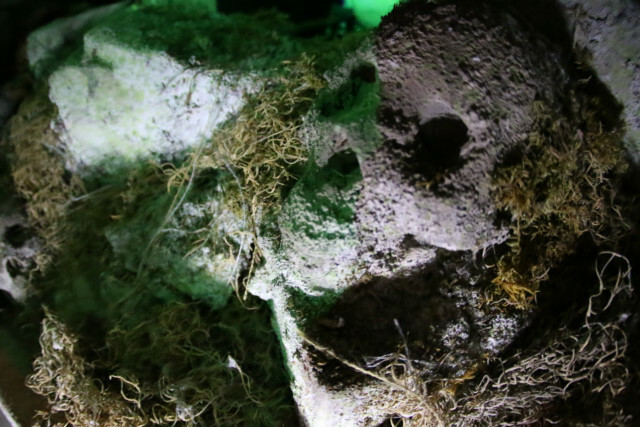 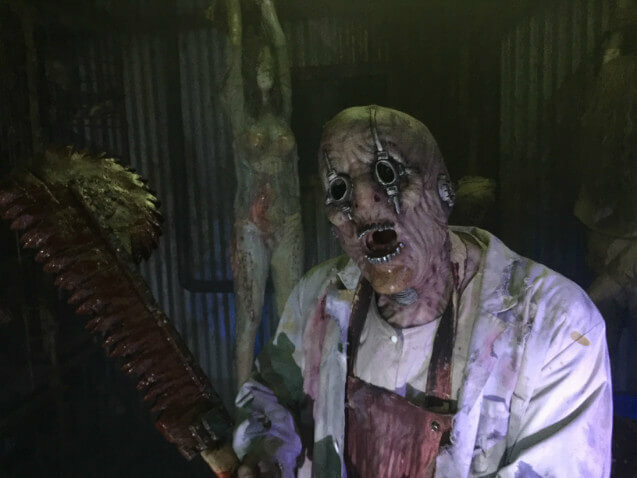 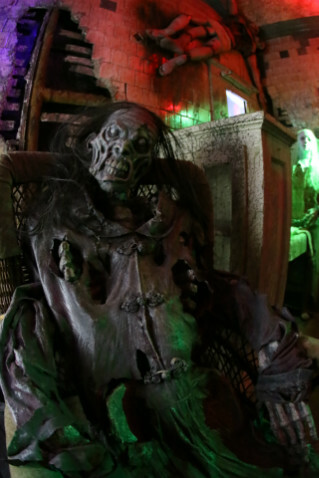 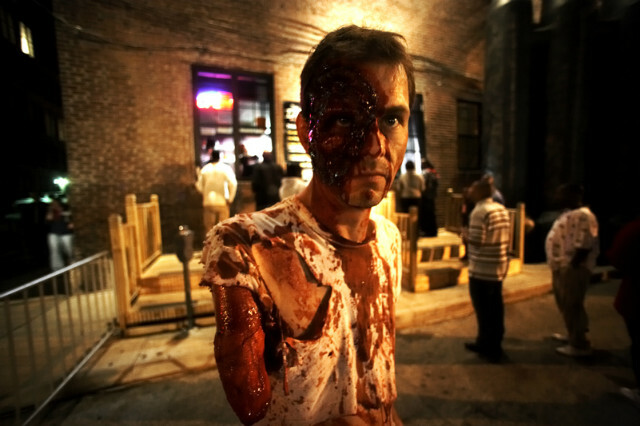 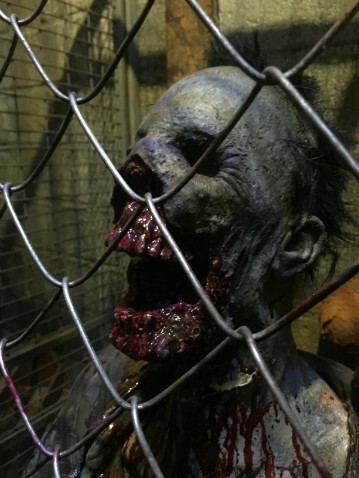 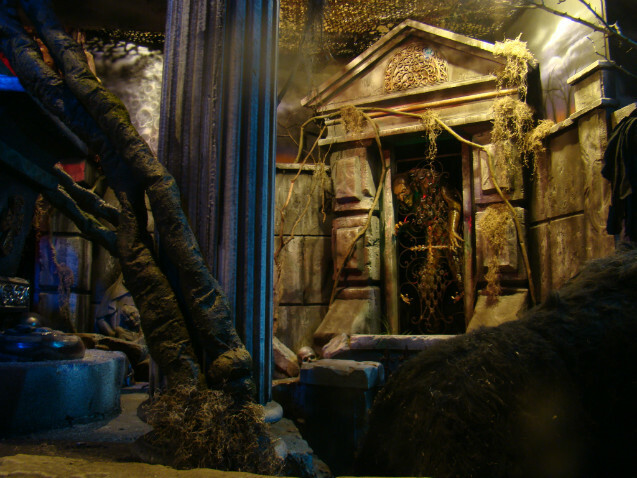 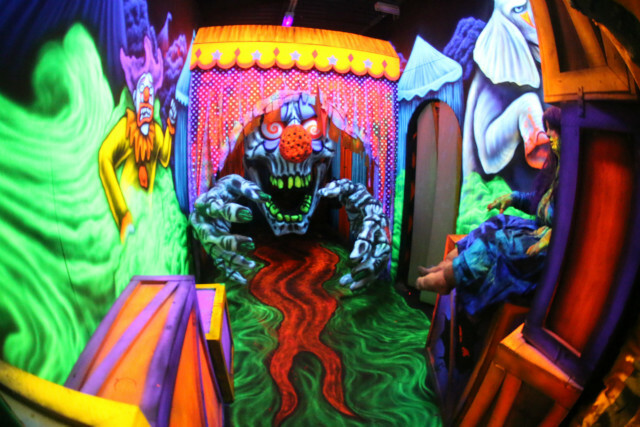 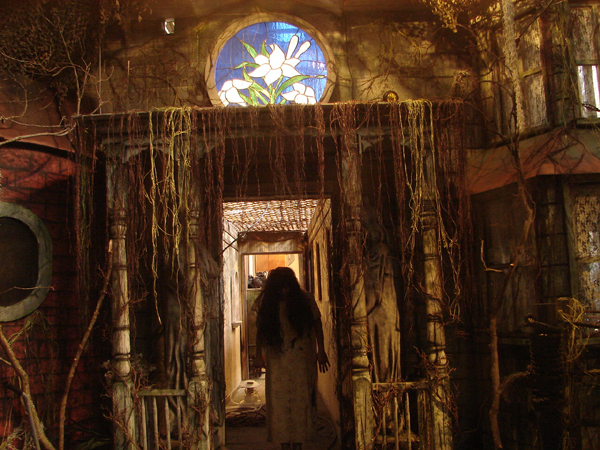 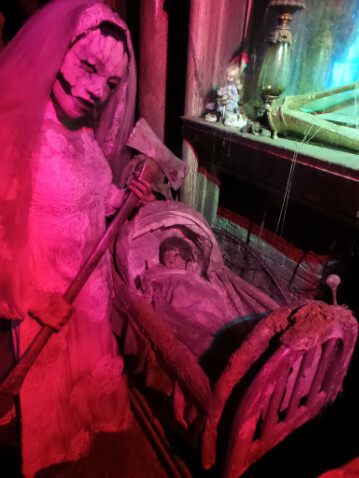 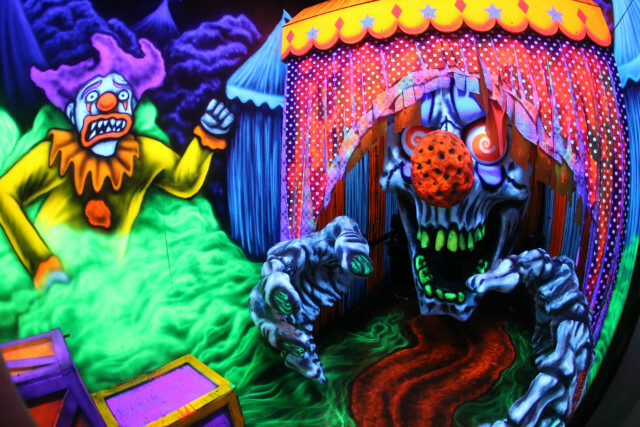 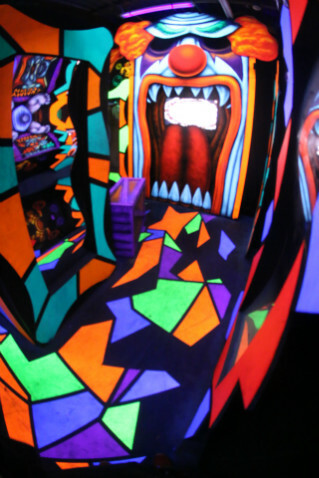 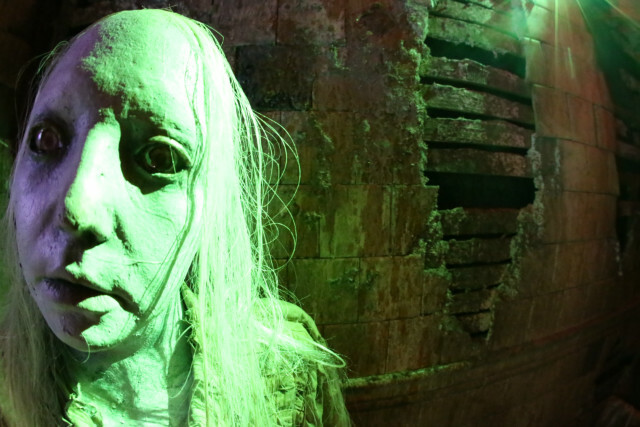 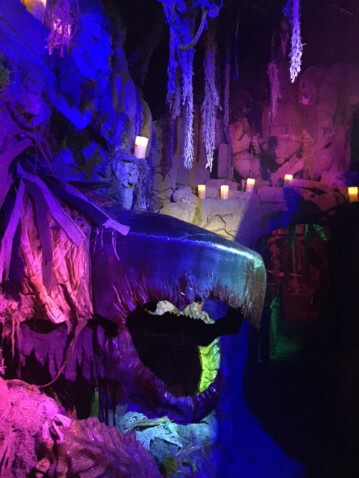 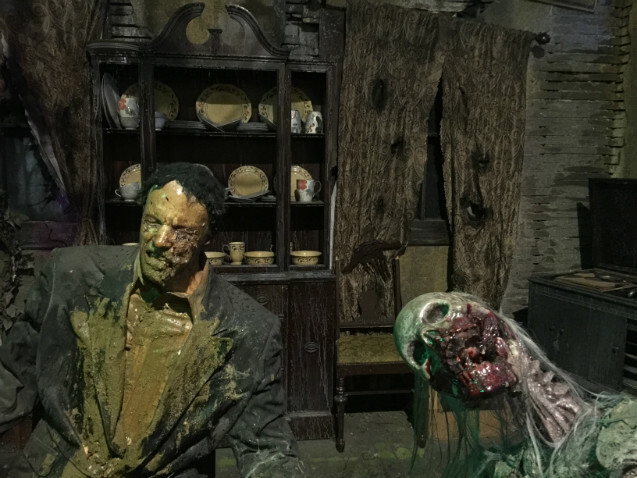 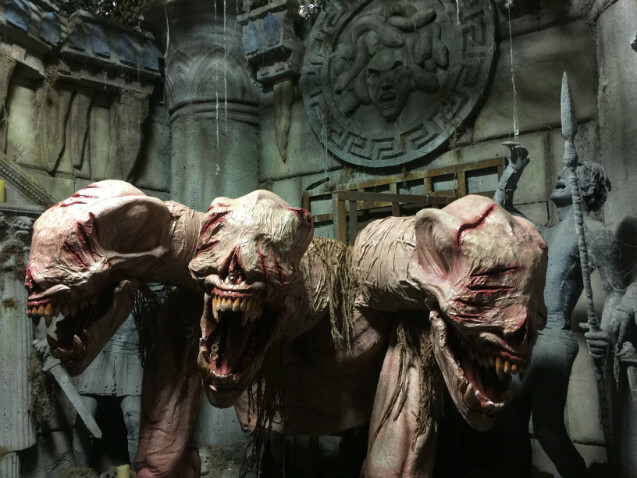 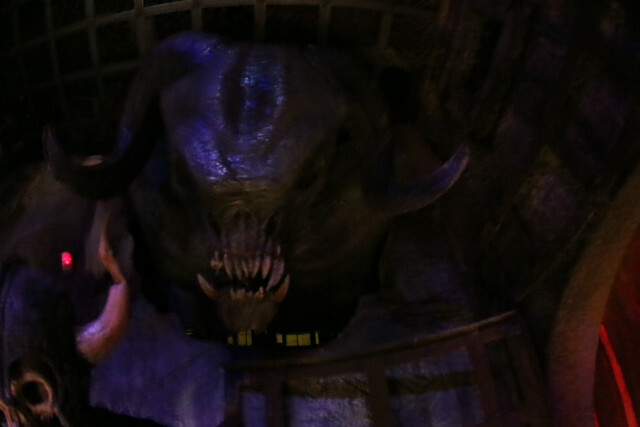 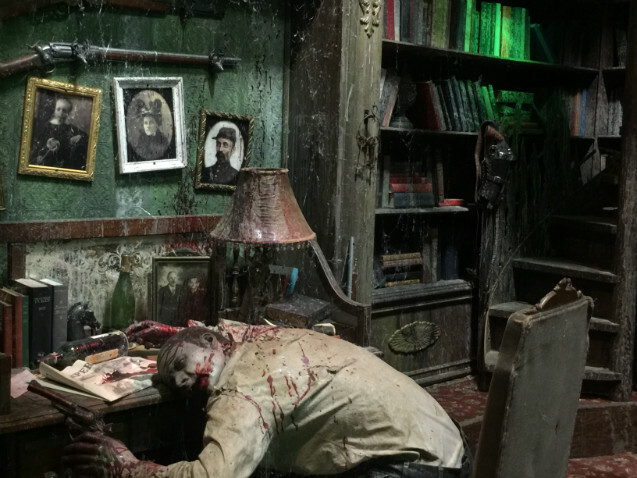 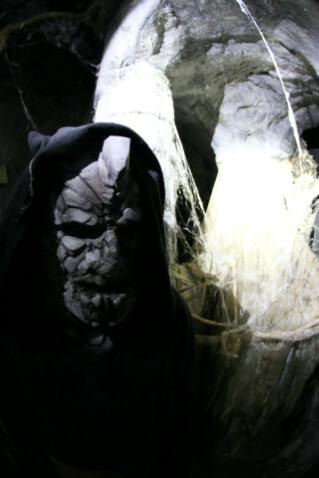 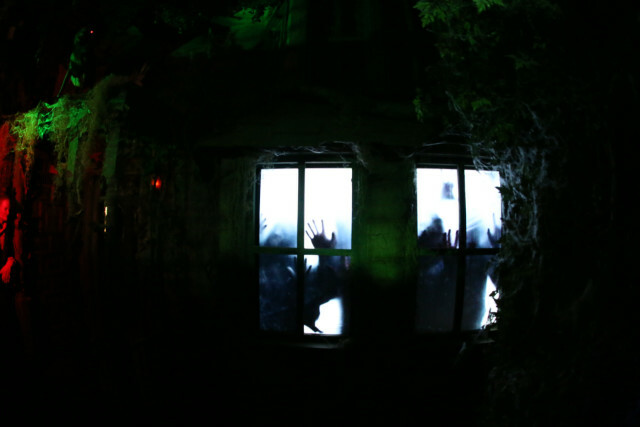 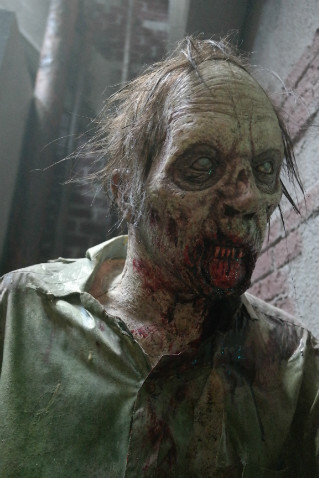 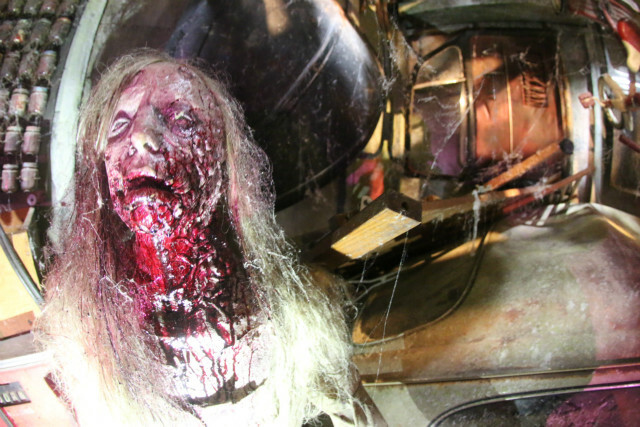 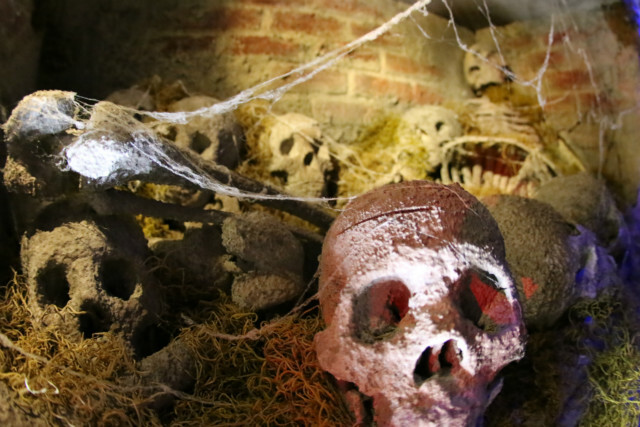 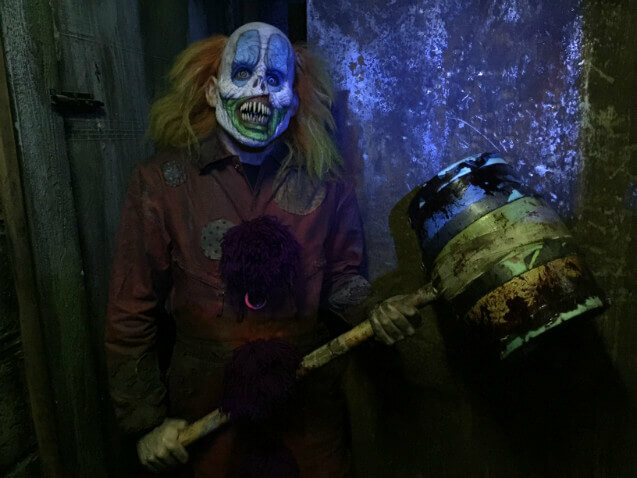 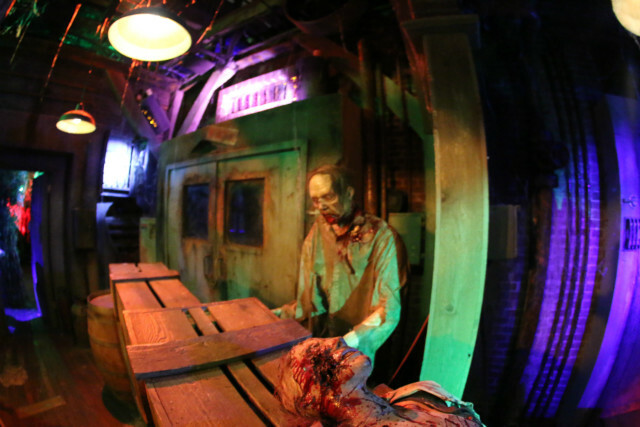 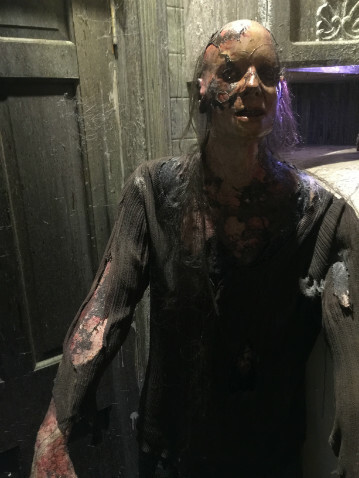 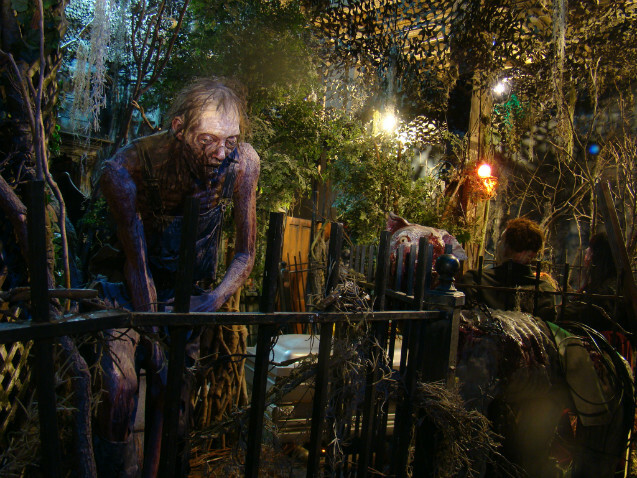 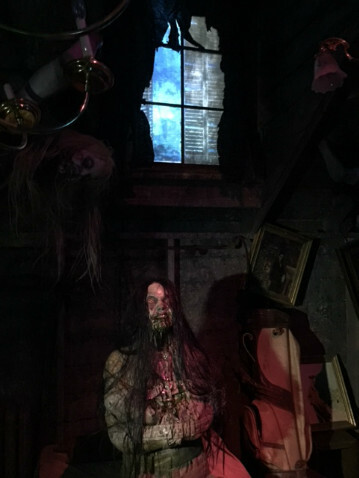 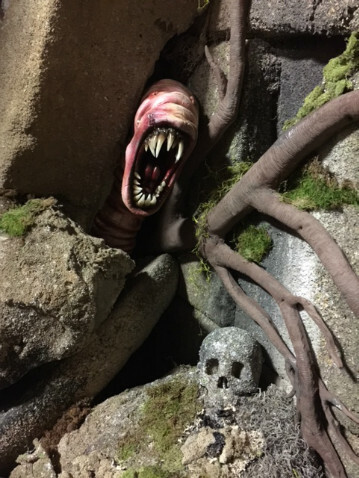 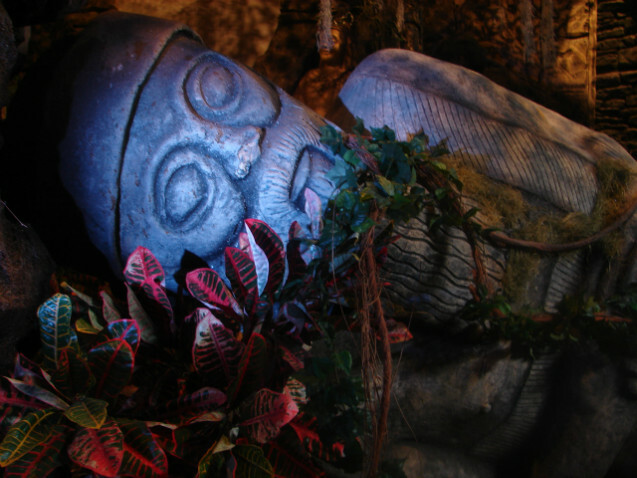 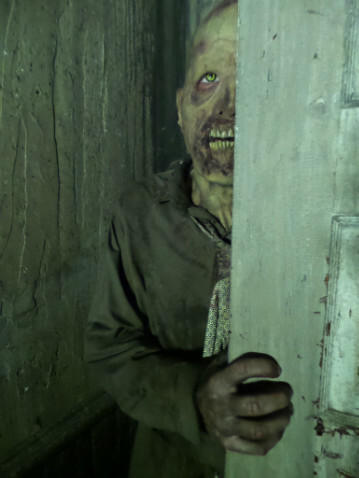 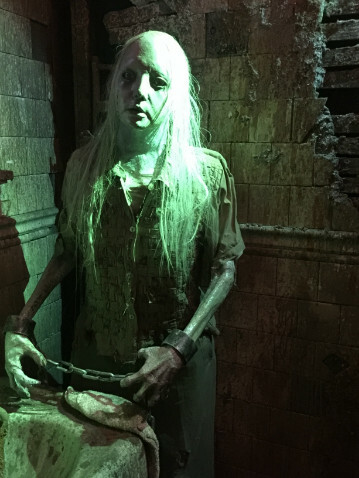 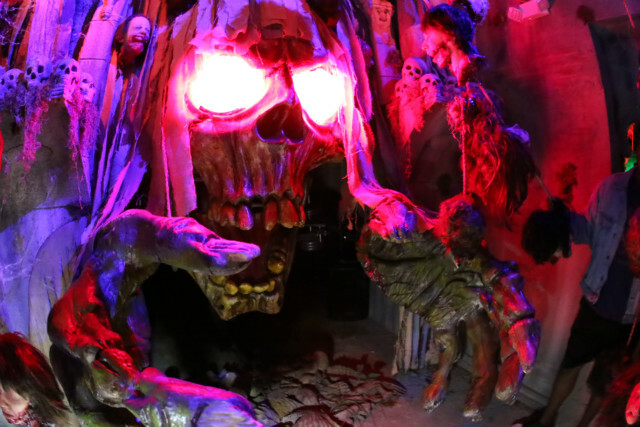 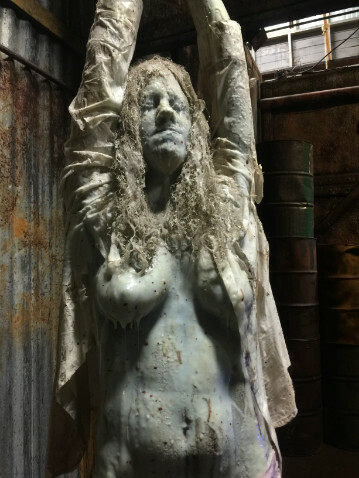 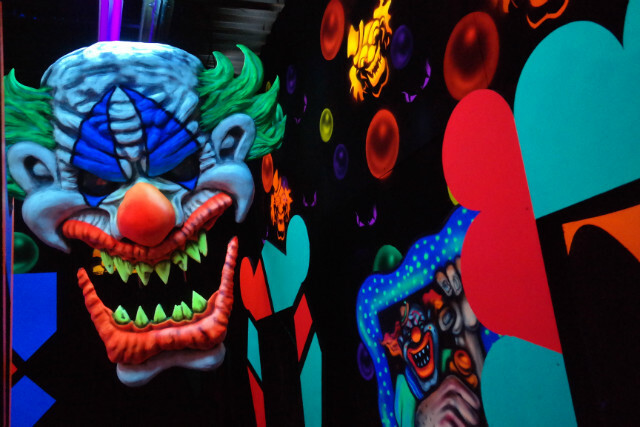 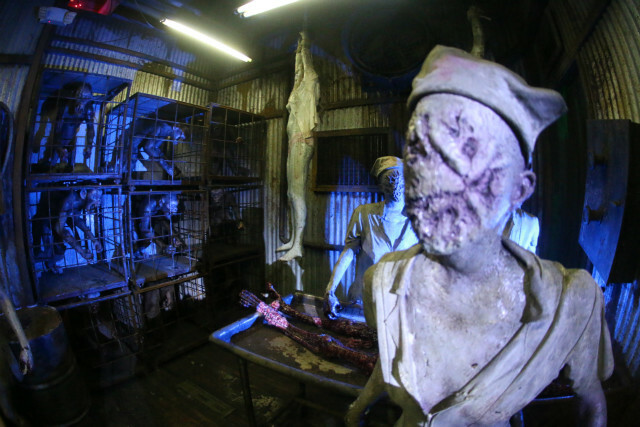 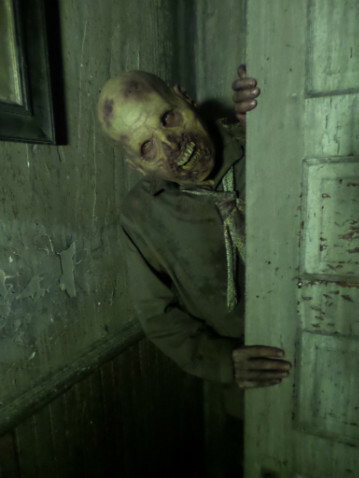 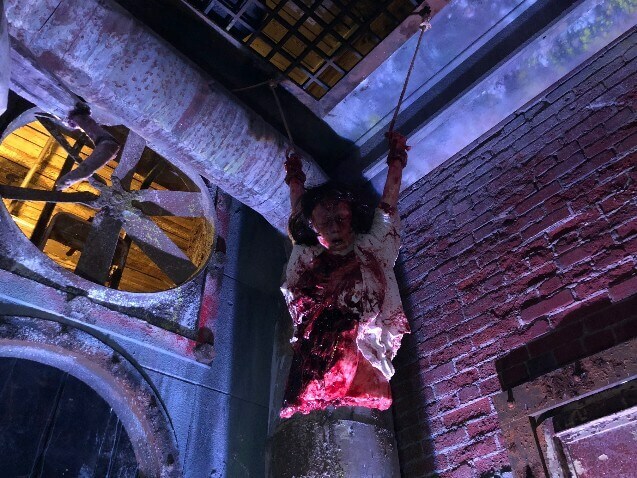 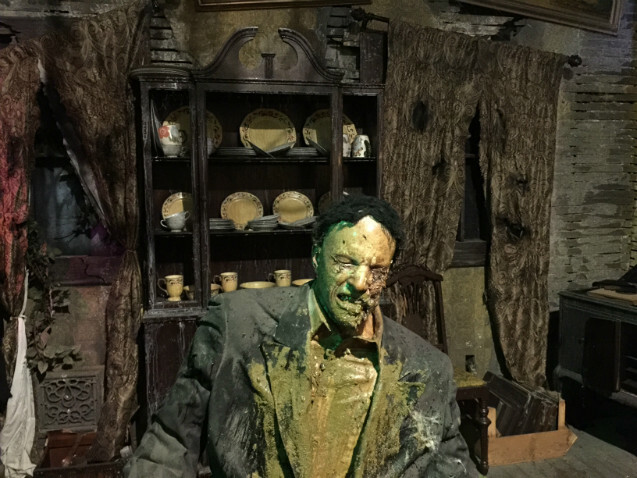 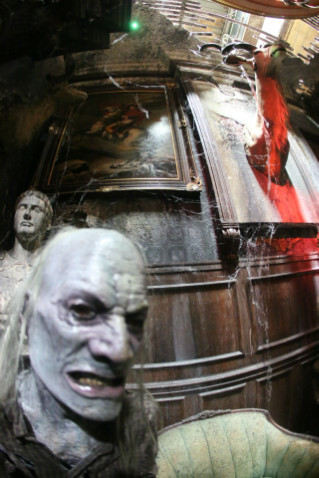 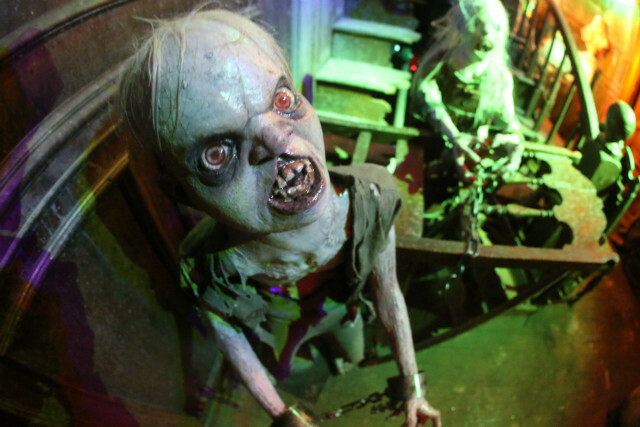 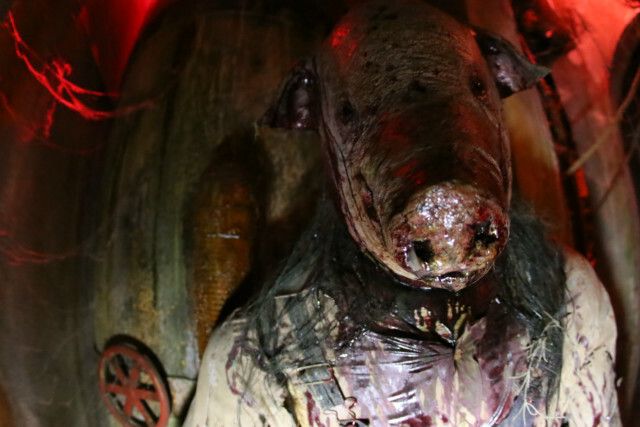 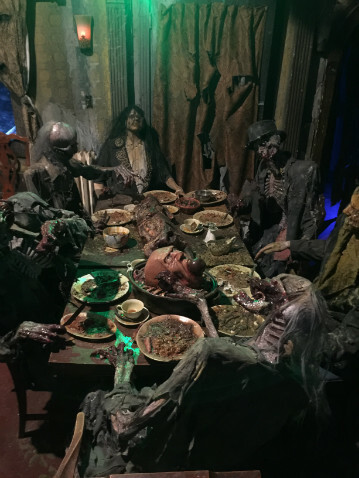 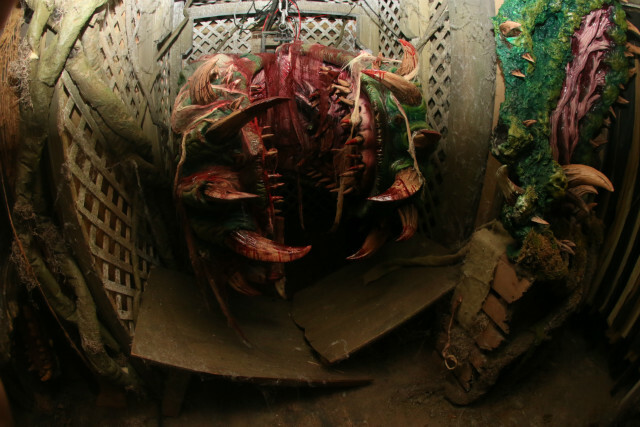 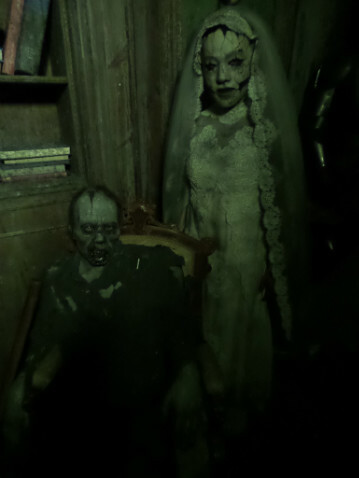 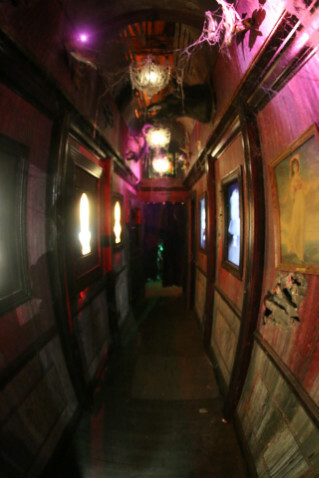 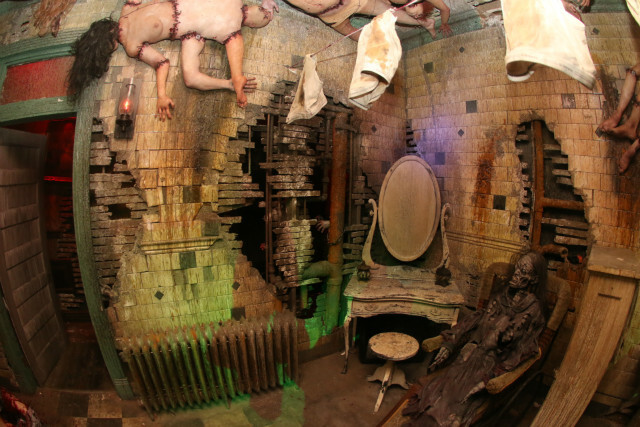 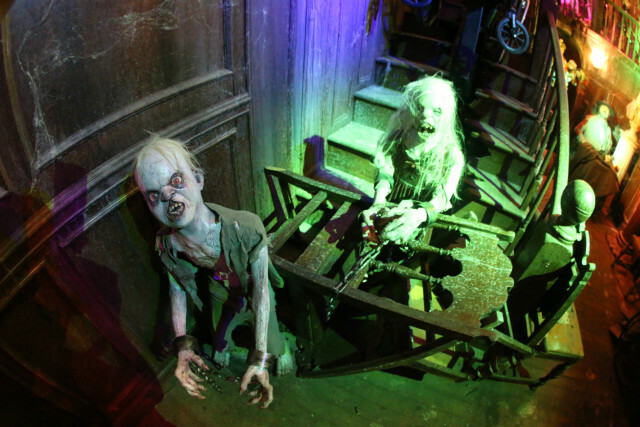 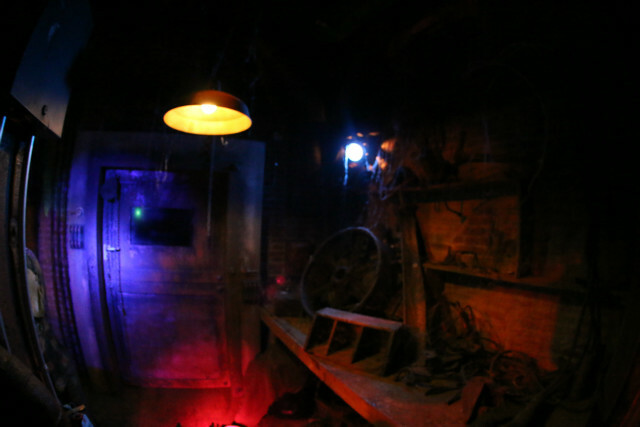 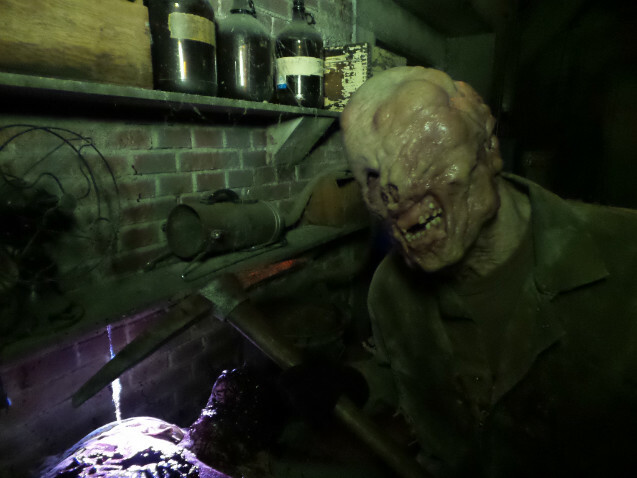 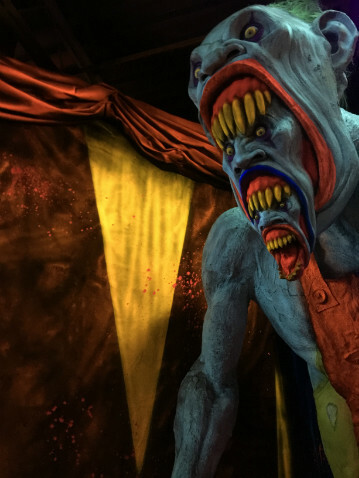 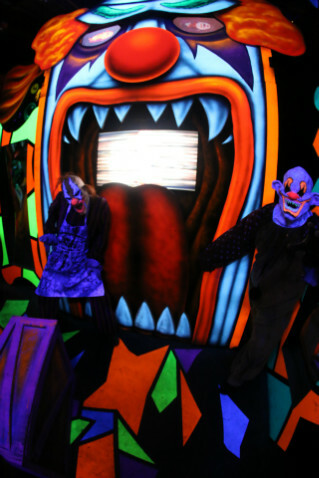 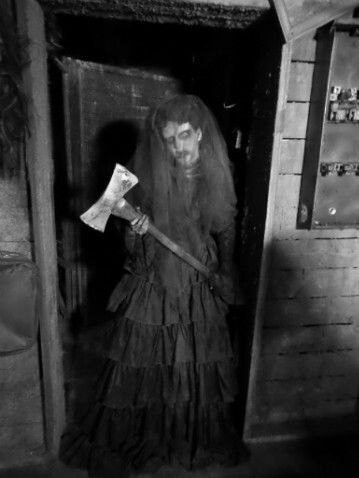 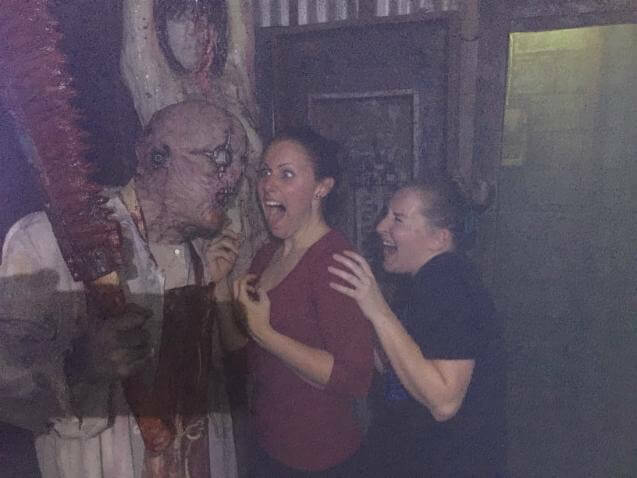 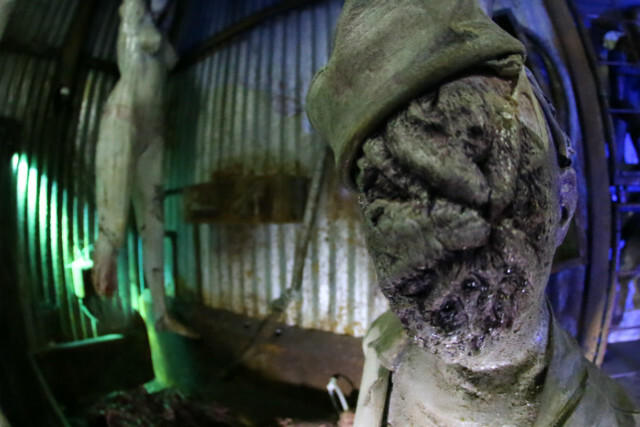 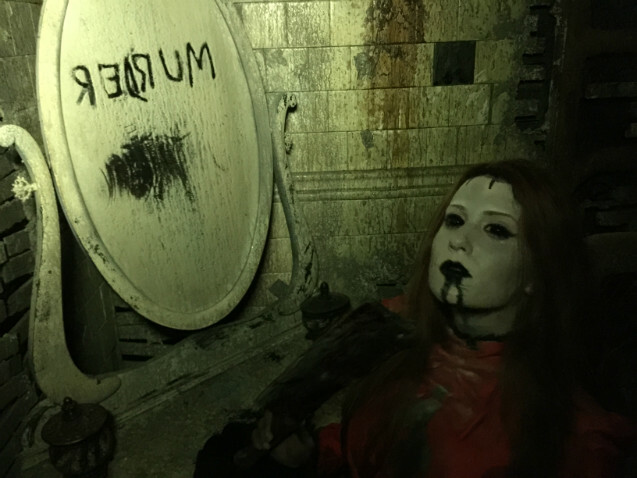 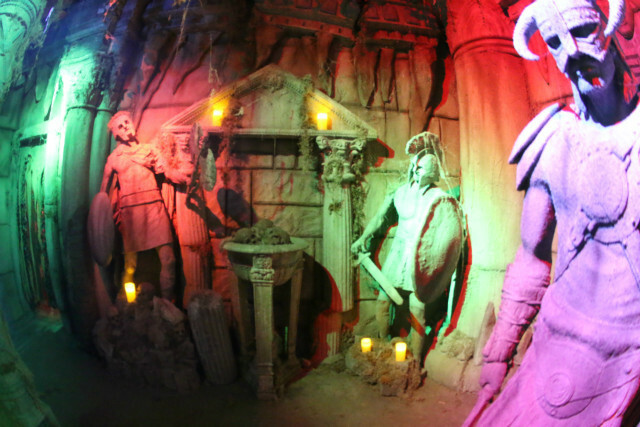 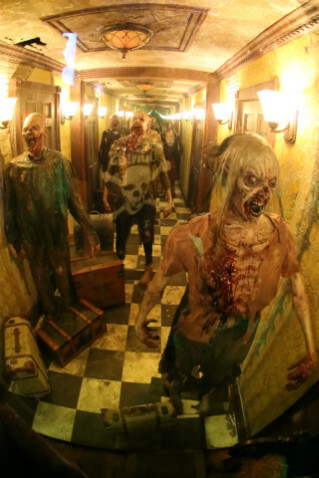 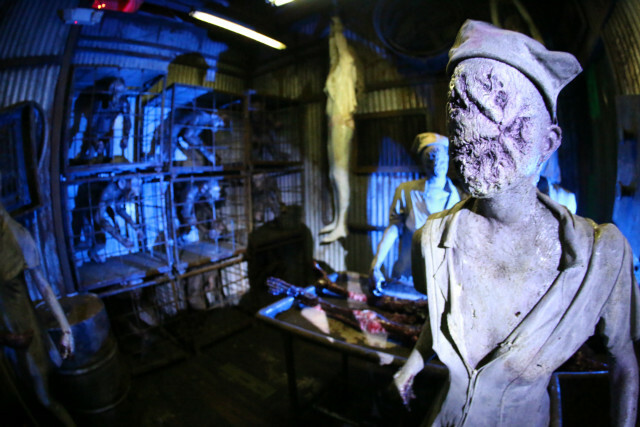 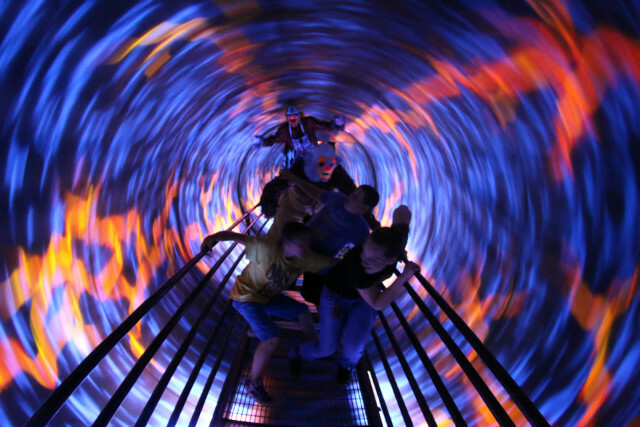 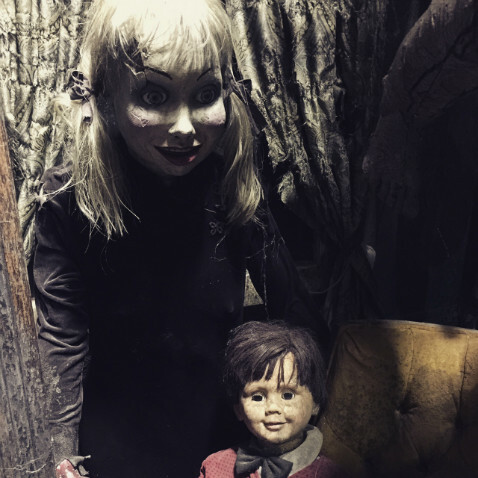 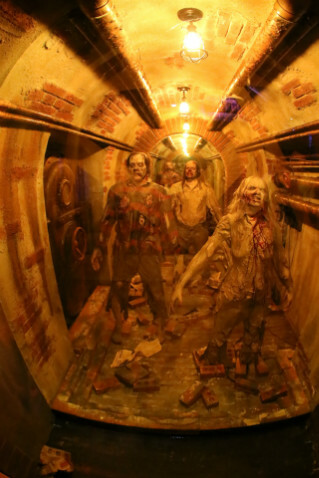 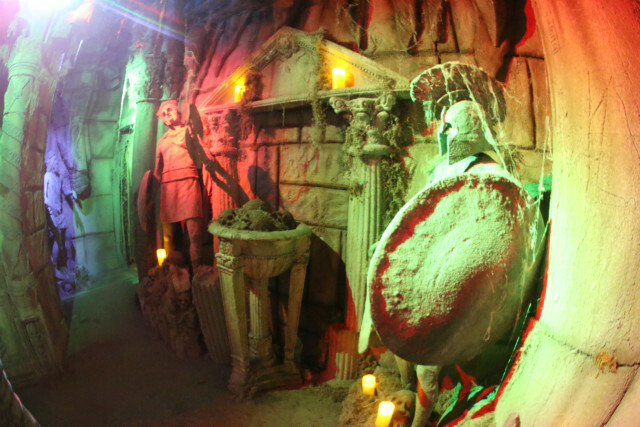 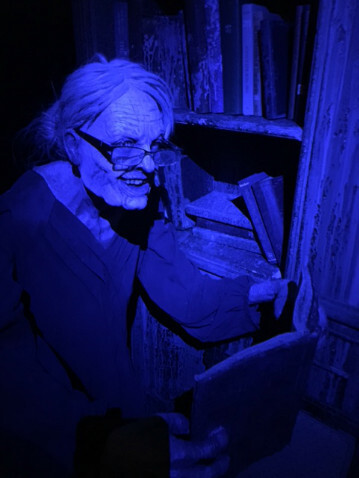 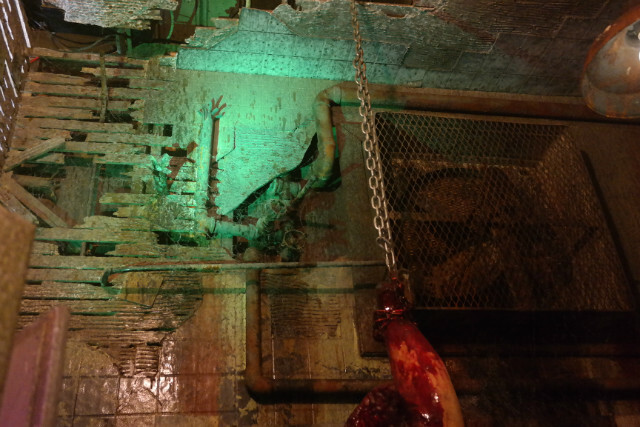 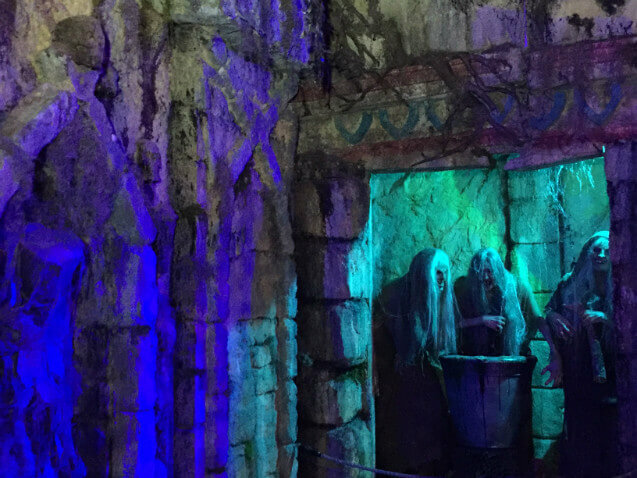 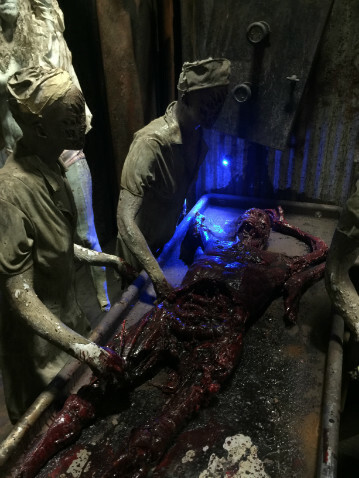 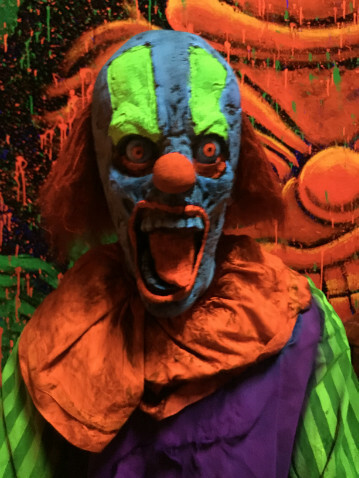 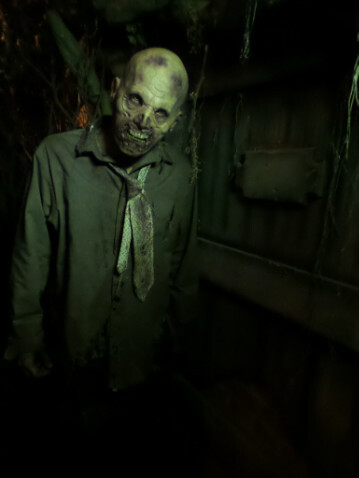 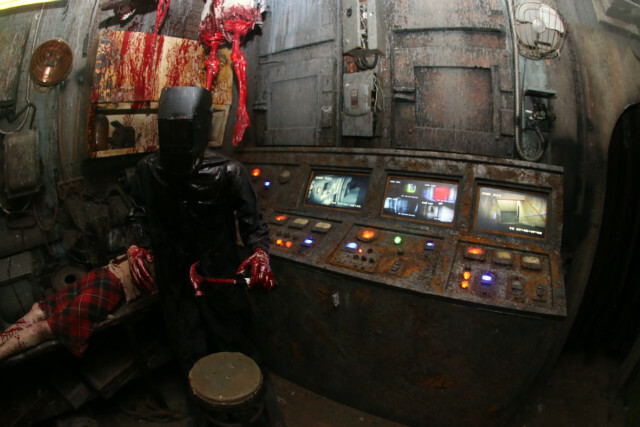 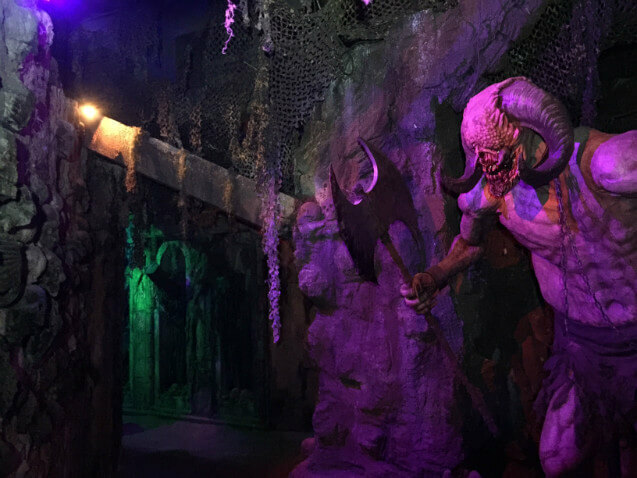 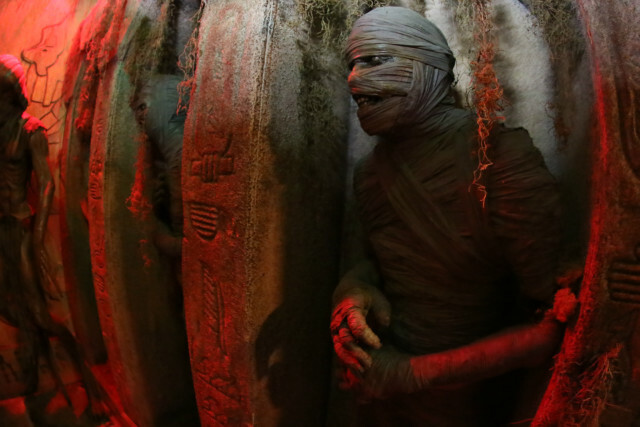 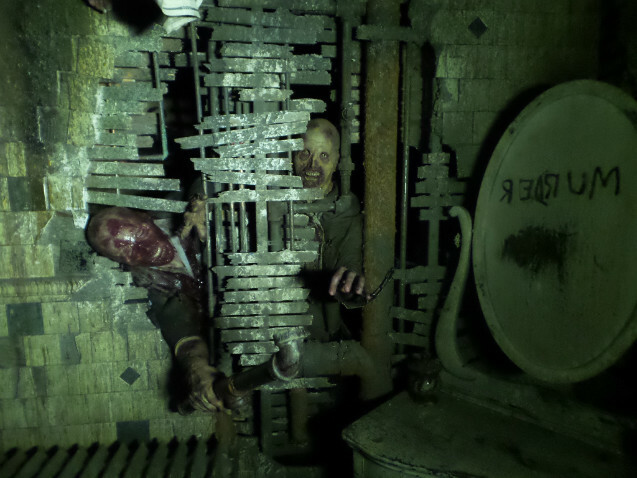 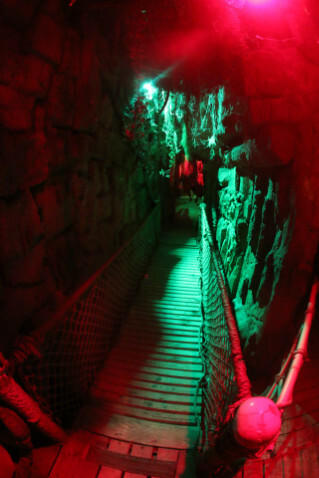 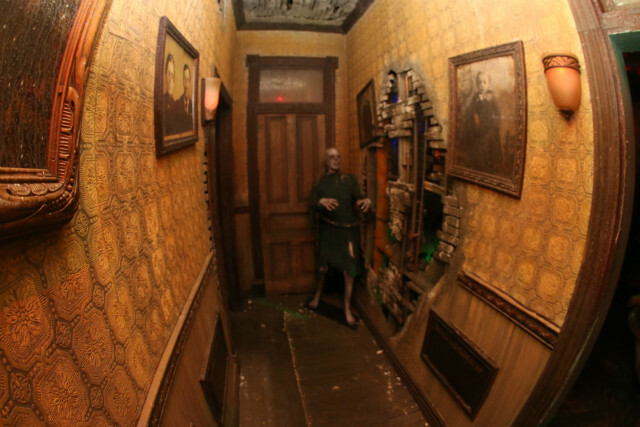 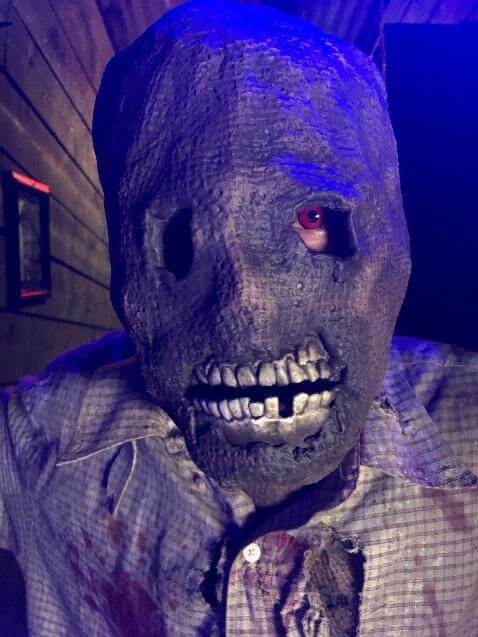 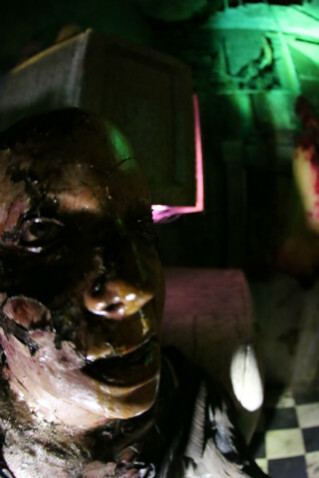 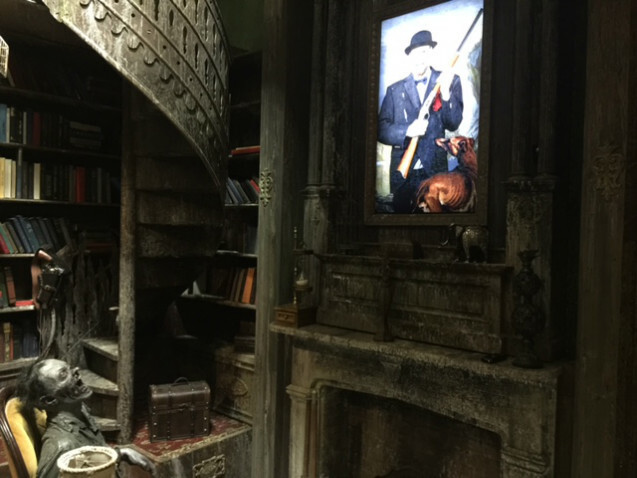 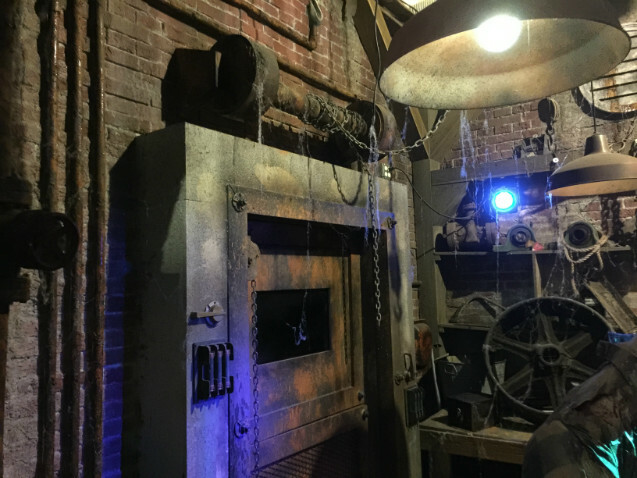 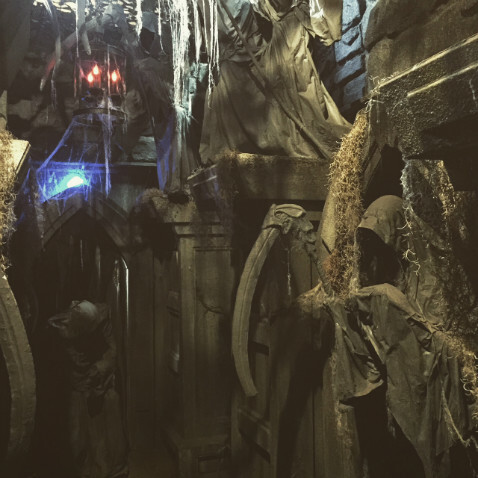 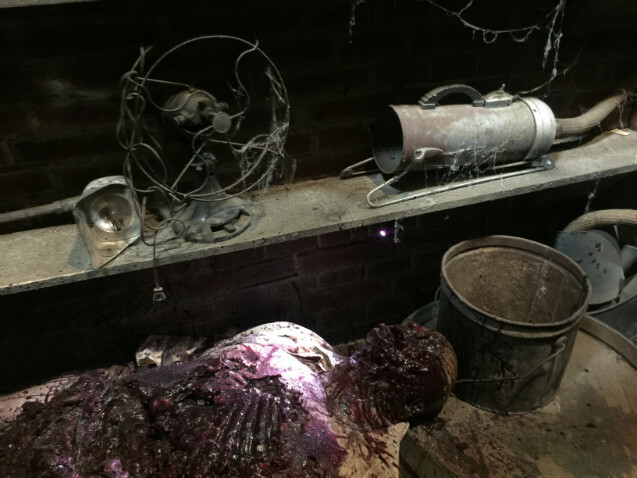 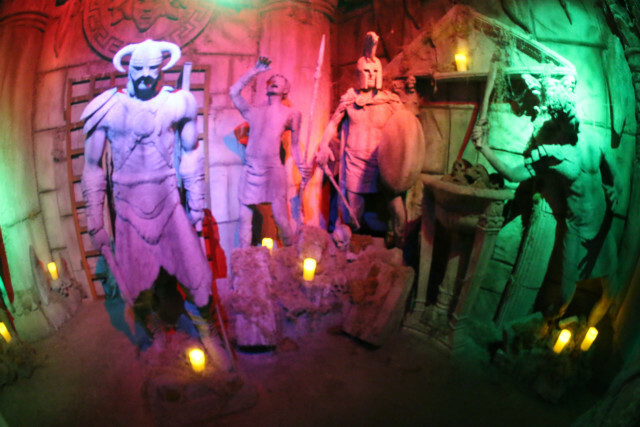 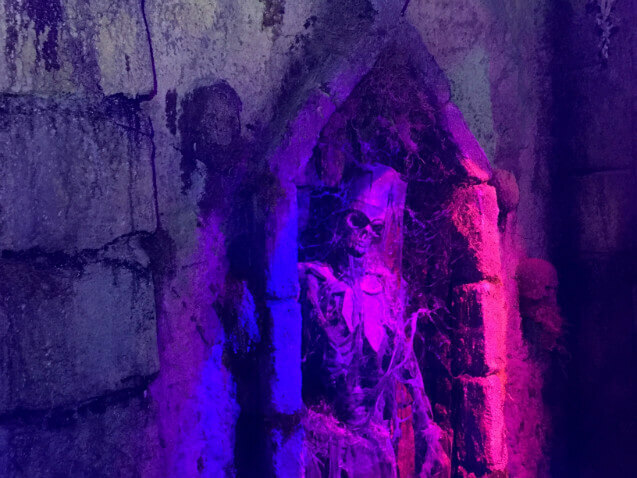 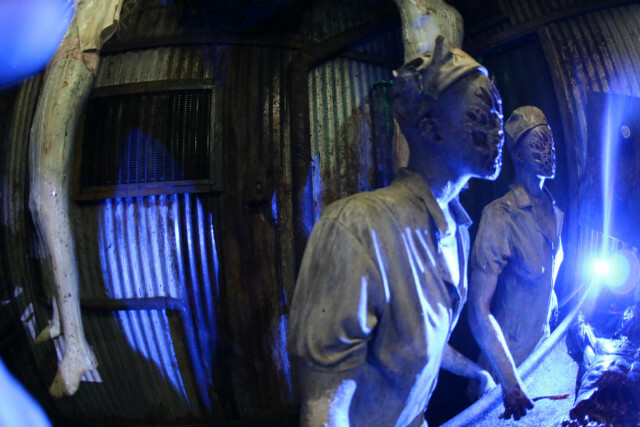 Go deep underground to the scariest real haunted house in America. 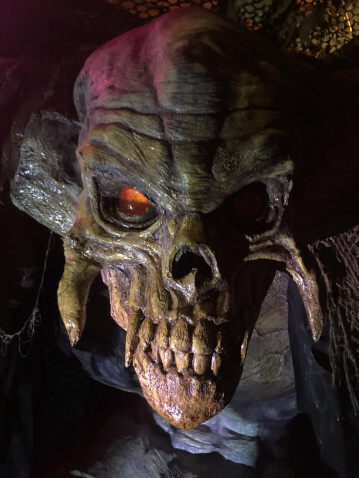 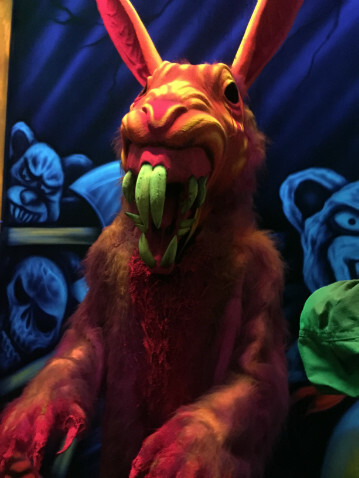 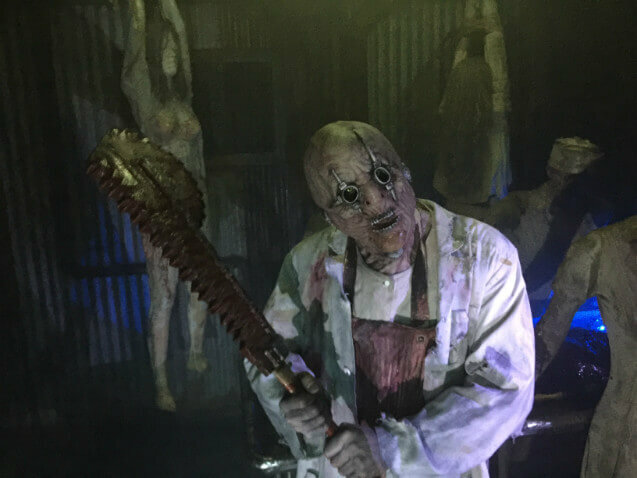 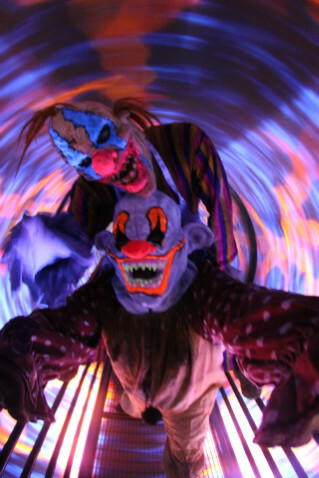 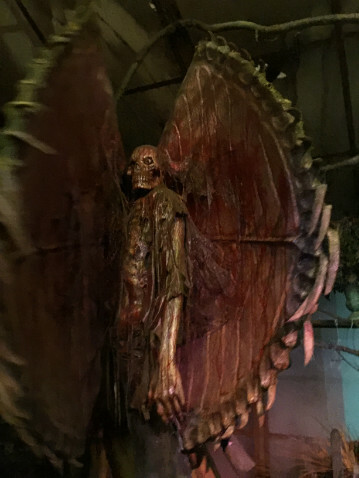 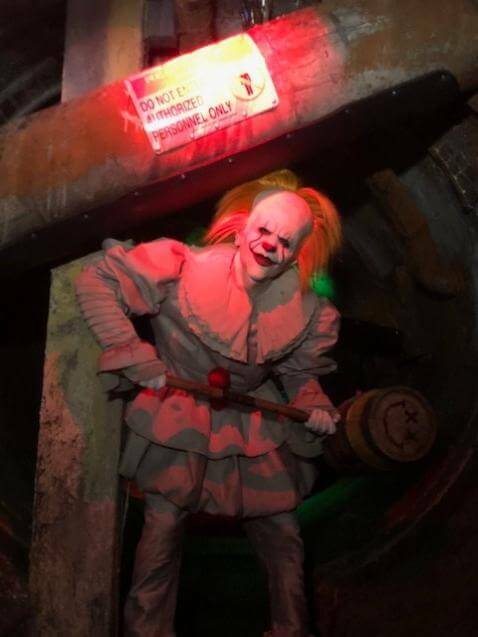 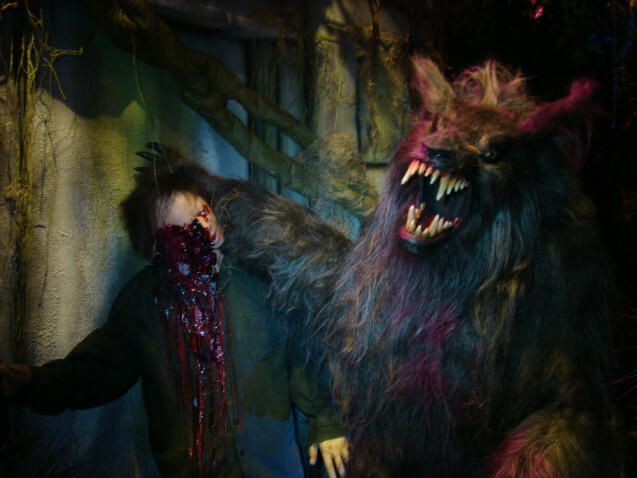 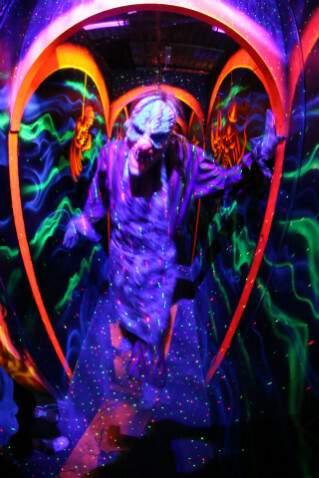 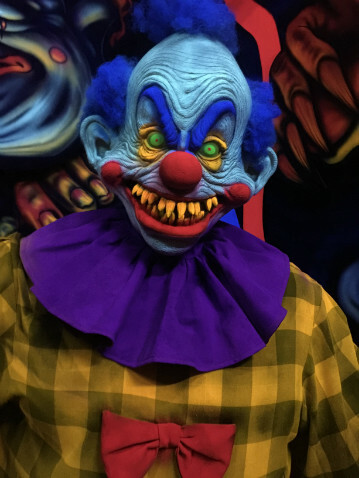 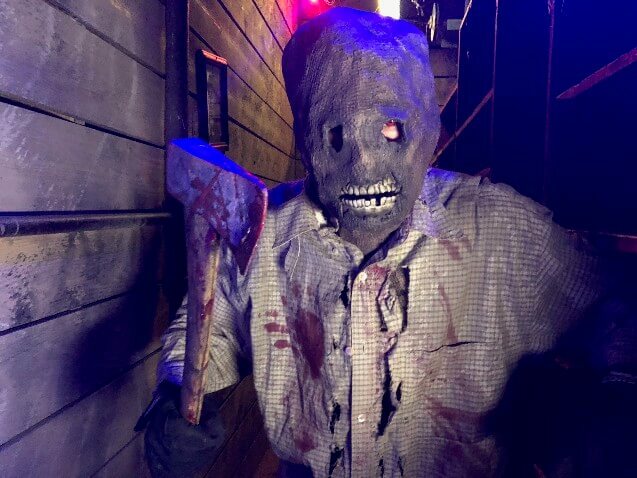 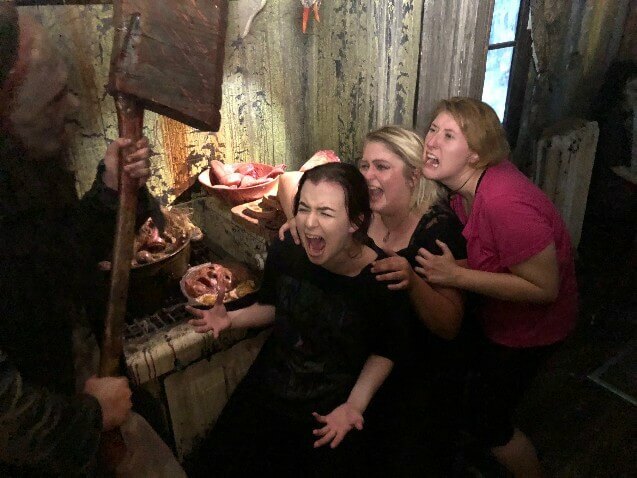 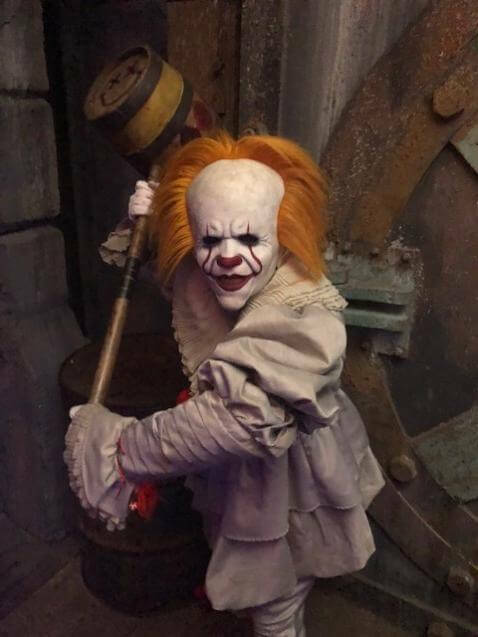 Creepyworld located about 20 minutes from downtown in Fenton Missouri on highway 141, is America's biggest and longest haunted screampark with 13 different attractions in one location. 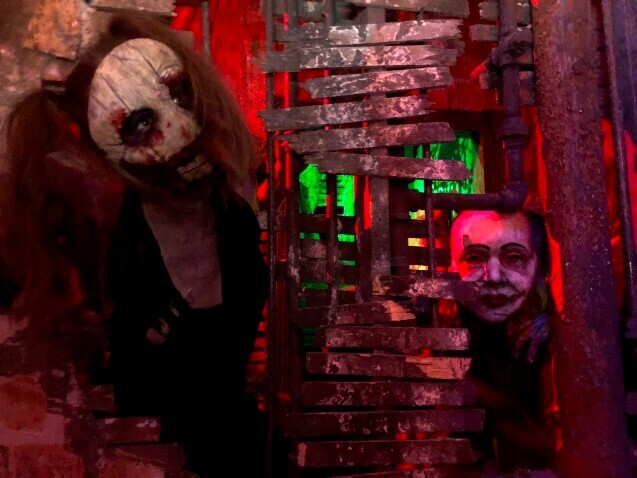 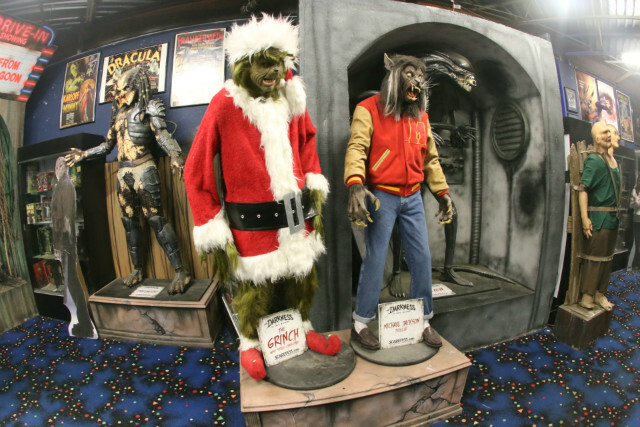 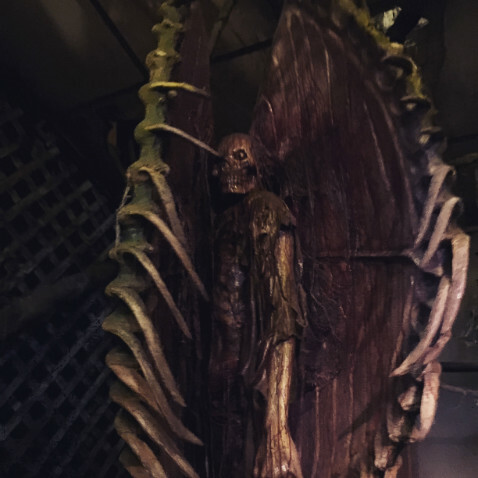 Creepyworld features a haunted hayride, haunted houses, graveyards, haunted hospitals, haunted prisons, cornfields and yes even a Christmas themed haunted house Krampus revenge.